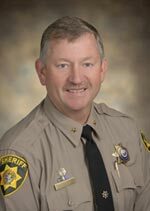 BEND, OR -- Tuesday is Larry Blanton's last day as Deschutes County Sheriff, after eight years in the top job and nearly 40 years in law enforcement. Sheriff Blanton tells KBND, "I’ve already got a job, but I can’t really say much about it – I should say, I’ve had a couple of offers I’m considering. I hope I don’t get too committed or strung out. After 35 years of essentially being on call 24/7, it makes you a little bit weird. I don’t know what I’d be very good at sitting around." Captain Shane Nelson will take over as Sheriff on Wednesday, July first. He will be sworn in at 8:30 a.m. at the Deschutes County Services building. PORTLAND, OR -- As the State Legislature moves into the home stretch, lawmakers are running out of time to find more money to fund public schools. 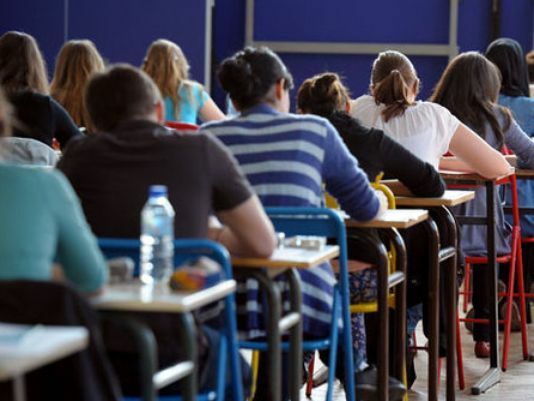 Hanna Vaandering, President of the Oregon Education Association, tells KBND the just over $7 billion approved for K-12 schools is still not enough to help increase the state's troubling graduation rates. "The next biennium of funding is close to no-cut, but it does not add in those things that really make a difference in the lives of our students, which is making sure they have access to art, P.E., music, career and technical opportunities, having libraries open with trained librarians. Those things that really inspire learning and really get them ready to be successful." She hopes to start a conversation this fall, to find what she calls real economic solutions to education funding. "I think we need to continue to look for any and all opportunities to make sure we have the funding for our public education, higher education system and other vital services in Oregon. As we move into the next biennium, we'd ask our legislators to look carefully at the tax loopholes and opportunities that we have to make sure all Oregonians and all corporations are paying their fair share, so that our students and seniors have those programs and services that help them." BEND, OR -- When the Governor declared Deschutes County's drought emergency last month, water restrictions began locally. No watering your lawn between 9 a.m. and 5 p.m., and Even house numbers water on even days; Odd number on odd days. So, make sure your sprinkler is hitting only your grass, Or you might find a door hanger reminding you of the code violation; Or possibly a phone call from the city. This is a Stage-1 Water Curtailment Alert, and it’s still early in the summer. Buettner will likely be a busy man this summer, educating residents on water conservation, and enforcing the city’s water code. 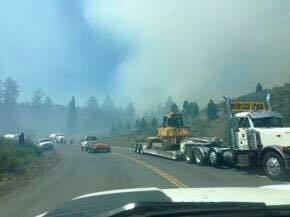 CENTRAL OREGON -- Central Oregon fire crews continue to battle wildfires across the region. 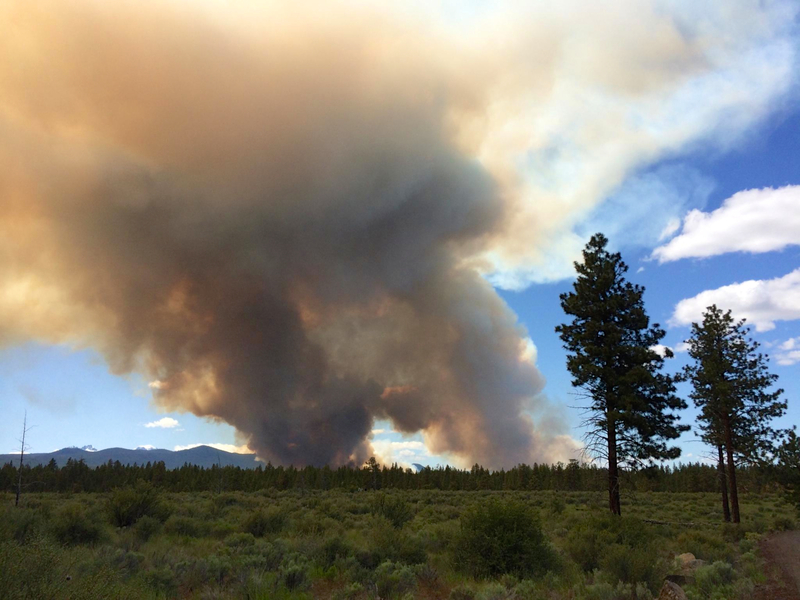 The lightning caused Sugarloaf Fire has now burned more than 46-hundred acres near Dayville. Officials say it is 20% contained and has now absorbed a new small fire just north of the John Day fossil beds. Firefighters are also battling a new blaze on the southeast corner of the Black Canyon Wilderness. It's estimated at 100 acres with no containment. BEND,OR -- Should the city of Bend approve a gas tax? The Bend City Council is considering asking the public that question this November. Monday, councilors heard the results of a recent phone survey that showed a majority of respondents would support such a tax. But Bend City Councilor Victor Chudowsky is skeptical. He agrees road work is needed and additional funds must be found, but he's not sure a gas tax is the answer. "My own personal feeling is the city's position is not a strong one. The reason is its difficult to convince voters to approve a tax when the city's revenue is going up." The city survey conducted by DHM Research found that 63 percent of those polled would support a gas tax. Chudowsky thinks the funds for road improvements could come from increased tax revenues and savings in the current budget. A Portland firm did its own survey recently on public opinion on a local gas tax -- and came up with a very different result. It found a majority of respondents oppose a gas tax. Local attorney Jeff Eager, represents the group of businesses in the fuel industry. "What happened is I saw the questions the city was going to ask and I could tell that their survey was going to overstate voters approval for a gas tax. My clients agreed to pay money for our own poll and we were more direct in how we asked the big questions." Eager says they believe there is enough funds in the existing city budget with projected tax revenue increases to fund the deferred road projects. BEND, OR -- Some solar power companies are looking to put in a couple solar farms in eastern Bend and a public hearings officer will hear arguments Tuesday for it. Cypress Creek Renewables out of California is looking at getting a conditional land use permit to allow the farms north and south of Neff Roads near Big Sky Park. Jason Carr, the company's Communications Director, tells KBND, "Quite frankly, the one theme we've heard the most is what are the aesthetics. What is it going to look like? Is it going to be ugly from my property? And what we've been doing is reaching out to neighbors and then the company can respond to that." A public hearings officer will review the land use application during a public hearing Tuesday night. The officer will eventually rule on whether the solar farms will be allowed and any decision can be appealed to the Deschutes County Board of Commissioners. BEND,OR -- A former administrator at St Charles will now be the new Chief Financial Officer for Mosaic Medical. Kirk Schueler wil be joining the nonprofit community health center system. Schueler brings decades of business experience to his new role. He worked at Brooks Rseources for seventeen years as Controller, Chief Financial Officer and then President. He served as Chief Administrative Officer at St. Charles. He has also served on the Mosaic Medical Board of Directors. Mosaic Medical has primary care clinics in Prineville, Bend, Madras and Redmond, as well as four school based health centers. Deschutes County had the biggest increase of 31%, followed by Clackamas and Washington counties. Although Bend is a retirement destination, officials say most of the growth comes from people who already live here. REDMOND, OR -- Redmond City Councilors are expected to accept a deal Tuesday, allowing Leading Edge Aviation to expand to Roberts Field. City Manager Keith Witcosky says the five-year deal would create more options for current airport users, and attract new ones. "Basically what it does, is it brings another fixed base operator onto the airfield, so customers and consumers have choices now about where they’re going to be getting their fuel from, or where they’re going to have their planes maintained. It just brings another choice to the airfield." Airport Manager Jeff Tripp says if the deal is approved, Leading Edge would compete with the current fixed-base operator, Butler Aircraft. "We have a diverse range of customers. We have our business and corporate aviation clients, we have the airlines, we have the USFS and we also have the recreational pilot community, so we have a large number of different customers that have different needs. Hopefully, providing the additional services will draw additional customers to the airport, whether they’re recreational customers or aviation businesses that wish to start operations here." Leading Edge CEO, Keith Watson, says expanding to Redmond was a logical step. "We see it as a great opportunity to expand. It’s the only, in our mind, legitimate commercial airport in Central Oregon. Its infrastructure suits our vision for expansion, completely, so that impacted our decision to come here." If approved, the new contract will take effect Wednesday, although Watson says it will take about a month to get equipment in place and operations up and running. Leading Edge expects to eventually offer fueling, aircraft storage, maintenance and on-demand charters from the north side of the airfield. SALEM, OR -- In his first time in elected office, State Representative Knute Buehler has been a visible figure in Salem. The Bend Republican is pleased with the progress he’s made during his first legislative session, most notably the passage of his bill expanding women’s access to birth control. "Well, it’s been a real learning process for me. I’ve enjoyed it, I’ve met a lot of great people, I fell my knowledge about the people and the issues of the state of Oregon is quite a bit better. And, along the way, I think we’ve done really good work for the people of Bend and of Oregon," he tells KBND. But, with just a couple weeks left in the session, he says it’s not time to slow down, yet. "We still have good legislation that’s alive, and all legislation right now is hanging by a thread. But, we hope to get some money for training of young physicians so we increase access to primary care. We still have that 'Right to Try' bill, which would give people with terminal illness access to experimental medication. So, we still have some really good things that are still in play, right now." According to the state constitution, the legislative session must adjourn by July 11. .
DAYVILLE, OR -- Central Oregon fire crews responded to nearly two-dozen fires over the weekend. The largest has burned over 4,000 acres, eight miles north of Dayville. Crews are working to construct a fire line around the "Sugarloaf" fire, and officials estimate it's about 20% contained. Officials say a few rain showers Monday morning have helped slow the fire's growth in the grass, juniper and pine trees. A red flad warning remains in effect today. Officials believe Most of the weekend's fires were started by lightning that moved through Friday and Saturday night; However, investigators say a small blaze on Round Butte, southwest of Madras, was started by kids playing with fireworks. 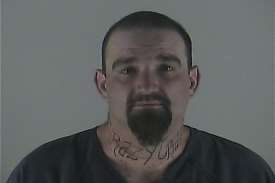 MADRAS, OR -- A Madras man allegedly led Jefferson County deputies on a high speed chase, late Saturday night. According to the Sheriff's office, Forest Ortiz took off in his pickup after a deputy tried to pull him over for a traffic violation in Madras. A search and rescue pilot was able to track the suspect from the air, and saw him crash near Crestview and South Adams. 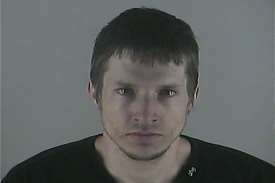 The 24-year-old then took off on foot, but the pilot was able to direct deputies and OSP Troopers to his location. Ortiz was tased for allegedly resisting arrest, and was eventually taken into custody on a number of charges, including being a felon in possession of a firearm and a probation violation. BEND, OR -- Bend Fire crews responded to a brush fire near Third Street and Revere Ave., just before 4:30 Saturday morning. The first firefighters on scene reported juniper, bark and brush was burning behind the Chevron gas station. A single power pole was also involved, and the power line was hanging in a tree. Crews were able to confine the blaze to the immediate area, as Pacific Power responded to the scene. Investigators say the exact cause can't be determined, but that it was human caused. They believe the power line failed as a result of the heat from below. The Bend Fire Department issued warnings, following the blaze, urging everyone to properly dispose of smoldering materials in non-combustible containers. 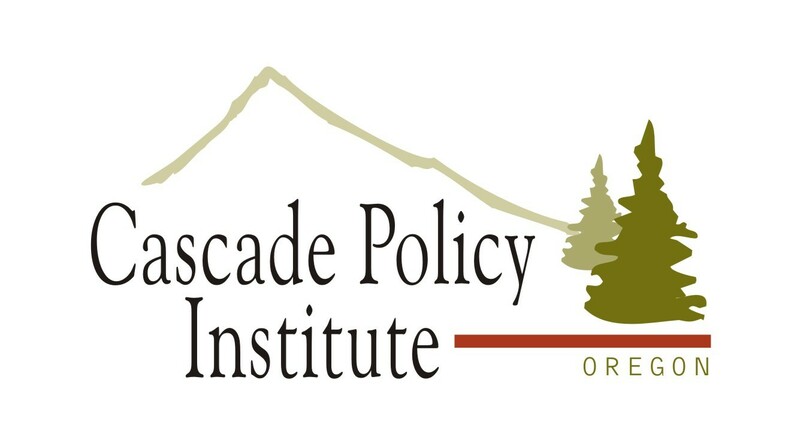 PORTLAND, OR -- Oregon's Cascade Policy Institute is disappointed in the Supreme Court's Thursday decision upholding federal subsidies for the Affordable Care Act. Steve Buckstein tells KBND the majority of the Justices let politics rule in this case. "It's almost unbelievable, like Justice Scalia wrote, rules don't apply when the goal of the court is in question. And, the goal of the court is that the Affordable Care Act must be seaved, and they basically did verbal linguistics to figure out how to save the law. The plaintiffs didn't want to get rid of the Affordable Care Act, they just wanted them to follow the letter of the law." Buckstein says this ruling postpones efforts to move toward a more individual, patient-centered healthcare and health insurance world. He thinks this is the last time the High Court will weigh in. "There have been two challenges and Justice Roberts has sided on the wrong side in both cases. I don't think they're going to rule any differently. I think it's a done deal, in terms of the court." Read More: Oregon U.S. Senators Ron Wyden and Jeff Merkley react to the Supreme Court decision. 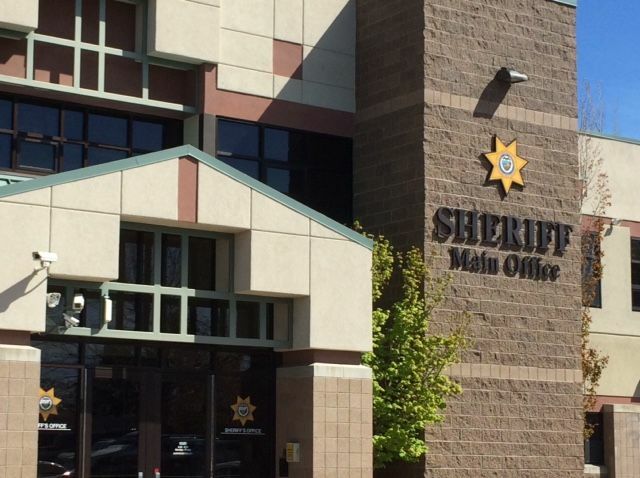 BEND, OR -- Deschutes County officials credit the quick actions of a Corrections Deputy for saving the life of an inmate. Jail Commander Captain Shane Nelson says Deputy Kevin Carkhuff heard the woman coughing, Wednesday afternoon, and discovered she was choking. He performed the Heimlich Maneuver and dislodged a piece of food. "We are proud of Deputy Karkhuff and his quick response. He is very attentive in his duties and acted immediately in this situation, saving her life," Capt. Nelson tells KBND. He says the inmate was wearing a new monitoring device, currently being tested in the Medical/Mental Health Unit. He says it alarmed as the deputy responded, confirming the woman was in distress. "This is the first time it’s come into play in a medical or mental health incident in our facility." The AliveLock RiskWatch monitors pulse rate and oxygen levels, and has been in a test phase at the Deschutes County Jail for about 2 weeks. Capt. Nelson says, "The AliveLock RiskWatch has just proven to be a valuable tool for our office. It provides a valuable extra layer of protection as a tool for monitoring of medical issues." 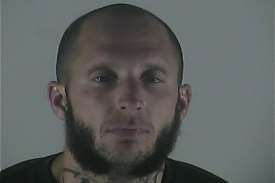 BEND, OR -- Bend police have arrested a man they say assaulted his girlfriend Thursday morning in southeast Bend. Detectives tracked 32-year-old Carl Gavic to the Highway 97 rest stop near Shaniko and took him into custody Thursday evening without incident. Police call him a “continuous traveler” and say he attacked his girlfriend with a switchblade causing several non life threatening injuries. The dispute was reportedly over property, and investigators say he threatened to harm the women and her dog again, before he left the scene. At the time of his arrest, Gavic was driving a car reported stolen from California. He’s charged with Assault II, Robbery I and Unlawful Use of a Motor Vehicle. Additional charges could be added as the investigation continues. JEFFERSON COUNTY, OR -- The Oregon Health Authority has issued a health advisory for Lake Billy Chinook, southwest of Madras. Water monitoring confirmed the presence of blue-green algae and the toxins they produce, which can be harmful to humans and pets. Those who draw in-home water from the Lake Billy Chinook Reservoir are encouraged to use an alternate source until the advisory is lifted. Boating is safe as long as speeds do not create excessive spray, which could lead to inhalation risk. 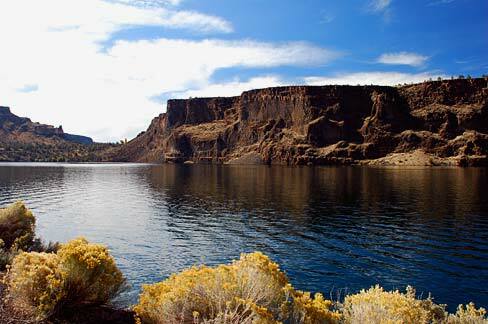 Officials say, with proper precautions to avoid water contact, other activities at Lake Billy Chinook are safe and encouraged. 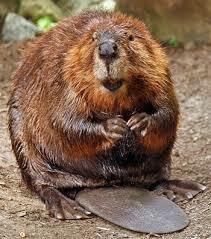 BEND, OR -- Two men were injured when they were attacked by a beaver near Lava Island Falls, Thursday evening. Deschutes County Sheriff's deputies were dispatched to a water rescue on the Deschutes River, just before 7 p.m.
Clayton Mitchell of Bend reported that his 31-year-old friend was trapped in submerged logs. John Bailey, of Redmond, was able to free himself and climb out of the water, just as first responders arrived. Investigators say the two men were exploring the river near Lava Island Falls when they climbed into a beaver dam and were attacked by the animal protecting its home. Mitchell and Bailey were evaluated by medics and taken to the hospital with non-life threatening injuries. “Today, the Supreme Court has reached the same conclusion that has been so clear, to so many, for so long – Congress intended tax credits for all who qualified, no matter their zip code. I applaud the Court for reading the law correctly. This ruling should once and for all put to rest challenges to the Affordable Care Act." WASHINGTON, D.C. -- U.S. Senator Jeff Merkley (D-OR) says he's pleased with this morning's Supreme Court Decision upholding subsidies for the Affordable Care Act. The Oregon Democrat released a statement saying he's "relieved that millions of Americans will continue to have access to quality, affordable health insurance. This case never should ‎have gone this far, but the Court made the right decision today." SALEM, OR -- State Senators have approved a bill that would allow pharmacists to dispense birth control without a prescription. Representative Dr. Knute Beuhler (R-Bend) introduced the legislation in an effort to expand access to contraception. Senator Dr. Elizabeth Steine-Hayward was pleased with safeguards included in the bill. "The risk assessment will be thorough – it’s a 27-question questionnaire that includes family history of risks, whether someone smokes, and blood pressure will be screened as part of this," she testified before the vote. "I will be following the rulemaking on this very closely, personally, because I understand the concerns raised by others. I want to be sure it’s safe, that we don’t risk women’s well being by doing it this way. But, they will be counseling on different types of oral contraceptives and the risks and benefits of each of them." 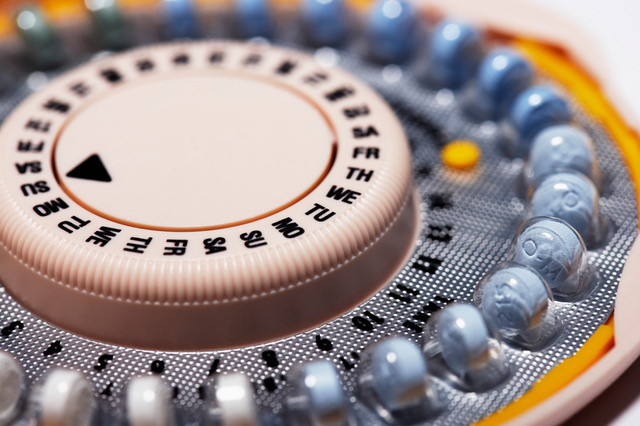 The bill applies to women over the age of 18 purchasing oral contraceptives or a hormonal patch, and requires them to see their doctor every three years. Those under 18 would initially need to have a doctor's prescription. Senator Dr. Alan Bates was initially opposed to the idea, but says he changed his mind after doing his own research. "Our teenage pregnancy rate in this country is off the map, compared to Europe. One of the reasons is contraceptives are readily available in Europe but not in this country. As a result, I believe we have too many abortions. This will help prevent abortions, help prevent unwanted pregnancies, and as a physician, after carefully looking at the facts – which it took me some time to do; I admit that – I am fully in support of this bill. It’s the right thing to do." Despite opposition from some who said the bill would put women at risk from side effects, HB 2879 passed the Senate, 24 to 4, and is headed back to the House for concurrence. LA PINE, OR -- A La Pine woman faces a number of charges stemming from a car crash on Huntington Road, Wednesday night. Deschutes County deputies say 22-year-old Jessica Cathey was driving her pickup with two friends when she drifted into the shoulder, overcorrected and rolled into a ditch, just after 8:30 p.m.
Cathey and the middle passenger, 25-year-old Jason Gomez, were able to climb out. The third passenger, 21-year-old Jessica Lee, had to be pulled from the wreckage. She was taken to St. Charles with life-threatening injuries. According to Investigators, none were wearing seatbelts and Cathey's blood alcohol level was .18. 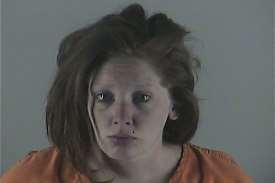 She is charged with DUII, reckless driving and assault and was lodged at the Deschutes County Jail on $70,000 bail. UPDATE: The family of 71-year-old Steve Williams says he was feeling overwhelmed and mentally exhausted and, as a proud man, he couldn't find it within himself to ask for help. He biked to his family's travel trailer parked in storage and locked himself inside to sleep. They say they are happy and relieved Williams decided to come home, and he is remorseful and embarrassed by his behavior. The family thanked police and the public for helping during the two-day search. SUNRIVER, OR -- A Sunriver man reported missing on Monday was located late Tuesday night. Very few details have been released, but The Sunriver Police chief says 71-year-old Steve Williams was found in good condition. His family had last seen Williams Monday morning; they assumed he had gone on a bike ride but didn't return. Sunriver Police and Deschutes County Search and Rescue volunteers searched more than 30 miles of paved bike paths and mountain bike trails during the two-day effort. KBND will continue to post updates as more information is released. 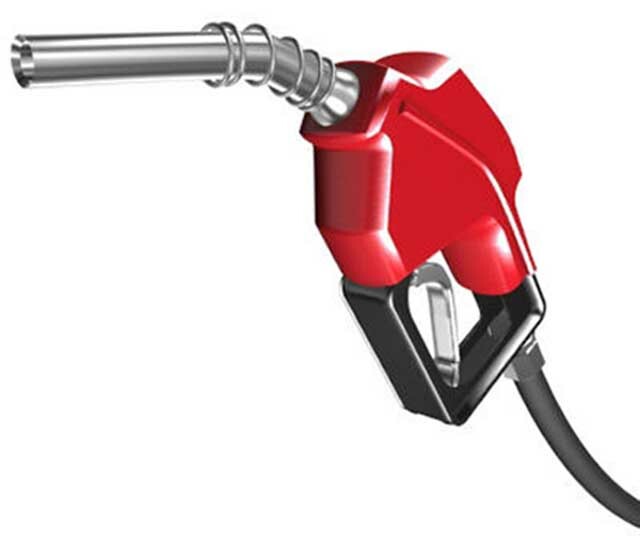 BEND, OR -- Gas prices are holding at or near year-to-date highs for 2015, across the country. Marie Dodds with AAA-Oregon, tells KBND the national average for regular unleaded dropped a penny in the last week, while the statewide average jumped 7-cents. "The national average is at $2.79, that’s a penny below its year-to-date high. The Oregon average is at its year-to-date high, at $3.14 a gallon. And, here in Bend, we’re also at our year-to-date high of $3.16 a gallon, and that’s up 8-cents in the past week." Dodds says west coast refinery issues are contributing to the problem; but here in Central Oregon, tourist season is also a big factor. "One thing that we do tend to see along the Oregon Coast and also in popular areas like Bend, gasoline is a supply and demand product. If I own a gas station and I know that I’m going to have a lot of tourists flocking to my area, I might raise the prices a little bit. There are no laws or rules that say how much a station owner can charge for gasoline." She suggests drivers shop around to find the best price, and suggests finding a mobile app that will do the comparisons for you. But, it's not all bad news. She says, as we head toward the long Fourth of July weekend, "I would say gas prices are going to be pretty close to what they are now. The good news is, gas prices are way below what we were paying a year ago. 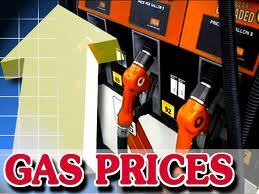 Even though we’ve seen gas prices move up over the last several weeks, we’re still paying quite a bit less. In fact, the national average is about .90 less than it was a year ago. And, overall in Oregon, we’re paying around .82 a gallon less than we were a year ago." PRINEVILLE, OR -- Prineville tops a new statewide list, although it's likely not a ranking city officials will be bragging about. According to the website 24/7 Wall Street, Prineville is now the Poorest Town in Oregon. The website looked at incorporated cities with 25,000 or fewer residents and found Prineville’s median household income of $29,959 is the lowest in the state. Like the poorest towns in many other states, Prineville had relatively low educational attainment rates. Less than 11%, of adults had at least a bachelor’s degree, far lower than the statewide average of nearly 30%. At the other end of the spectrum, Happy Valley ranked as the richest in Oregon, with a median income of $92,773. BEND, OR -- A high pressure dome of warm air is building over Central Oregon, and will bring record temperatures for the weekend. According to the National Weather Service, temperatures are 20-degrees above normal in Central Oregon this week, and it's shaping up to be the hottest June in 90 years. NWS Meteorologist Dennis Hull tells KBND News, the record temps are about more than simply warm weather. "We haven't had any moisture at the Bend reporting station this month. We're not getting much in the way of evaporation, and that would normally help cool the air and provide a little bit of moisture to the air. A lot of those things combined are going to create very warm, hot conditions across the area for much of the next seven days, especially starting on Friday." As the mercury rises, health concerns also increase. "We just want to make sure people are informed about it; take extra precautions, make sure you've got enough water, stay hydrated, things like that," Hull says. "If they know that heat adversely affects them, maybe they want to stay indoors a little bit more, plan their outdoor activities during the cooler times of the day; so there are a lot of things they can do to mitigate the affects of the heat." Bend's record high for June is 100, set back on June 25, 1926. Saturday's high is predicted to be 101. REDMOND, OR -- The city of Redmond will once again bail out its municipal golf course, after another year of declining revenue. Jason Neff, Deputy Director of Central Services for Redmond, says for the second consecutive year, Juniper Golf Course has has not made enough to cover operating costs and debt repayment. Since 2009, the city has covered the cost of repaying debt incurred when the course was built in 2005. "We’ll be looking at this very closely with Council in July. Our management contract is up at the end of December with CourseCo. So, it’s a good time to look at the last couple of years. It’s obviously not where we want to be. The ideal situation is that the golf course contributes some to the debt service on an annual basis." Updated projections show Juniper could be short up to $57,000 this year – that’s about 3% of its total operating costs. "We didn’t anticipate having to put more than debt service in. But, if you look at their projections versus their budget, a lot of it is on the revenue side," Neff says. "Public play, their memberships are a little bit down, those are the types of things that if they were going to make up the difference, that’s where they’d get it. They’ve been awesome on the expense side, managing expenses." City Councilors agreed to send an additional $134,000 from the general fund to cover losses and debt payments. Neff tells KBND News the financial struggles highlight the region's competitive market. 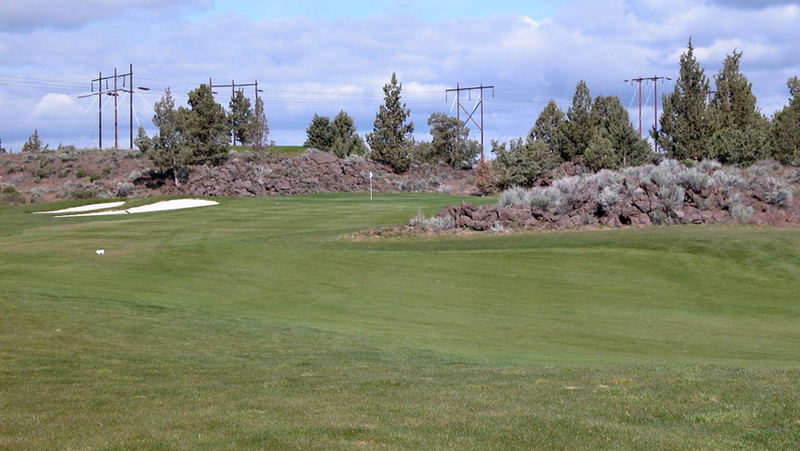 "We recognize that the golf course industry in Central Oregon is a situation where we have a lot of courses for not a ton of people. It’s definitely a challenging environment, but we feel like we can continue to make it a better asset out there. It’s already a great asset, but we think we can keep improving on that." 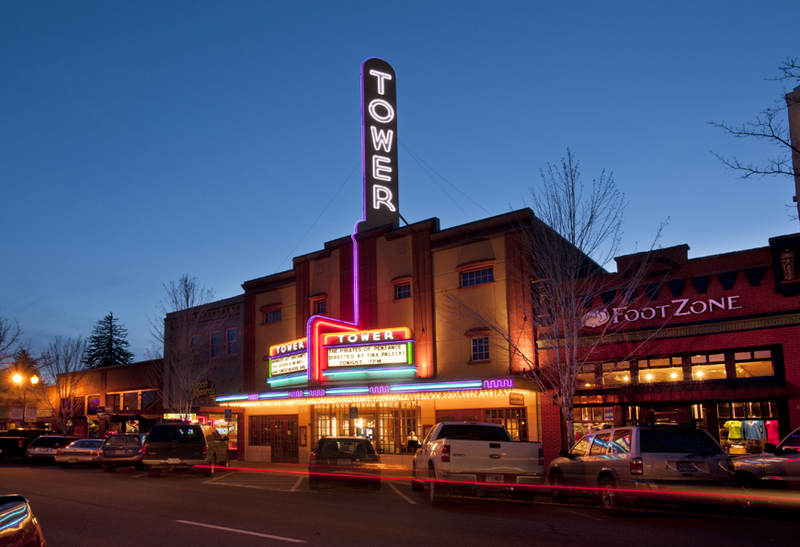 BEND, OR -- Former Bend City Councilor Jodie Barram is joining the Tower Theatre Foundation. She will be the Foundation's Director of Major Giving. Barram is well known to the Central Oregon community. She grew up in Bend, has served as the city's Mayor Pro Tem and has been on the boards of Visit Bend and Bend 2030. Barram's role at the Tower will be to expand the upper level contributions to the Foundation. She will solicit and procure donors giving one thousand dollars and up. Barram says she's excited to help individuals and businesses invest in the Tower to help ensure the vibrancy of performing arts in our community. BEND, OR -- Job growth remained strong in Central Oregon last month. May numbers were largely unchanged from the month before. Regional Economist Damon Runberg tells KBND the usual suspects supplied more jobs. "Some pretty strong seasonal trends. A lot of leisure and hospitality jobs, retail jobs. There was an uptick in construction." Unemployment in Deschutes County remains around 5.5%, Jefferson County's is 6.5% and Crook County's is just over 8%. Jefferson County last month added 250 jobs, significantly more than the typical addition of 170 jobs. 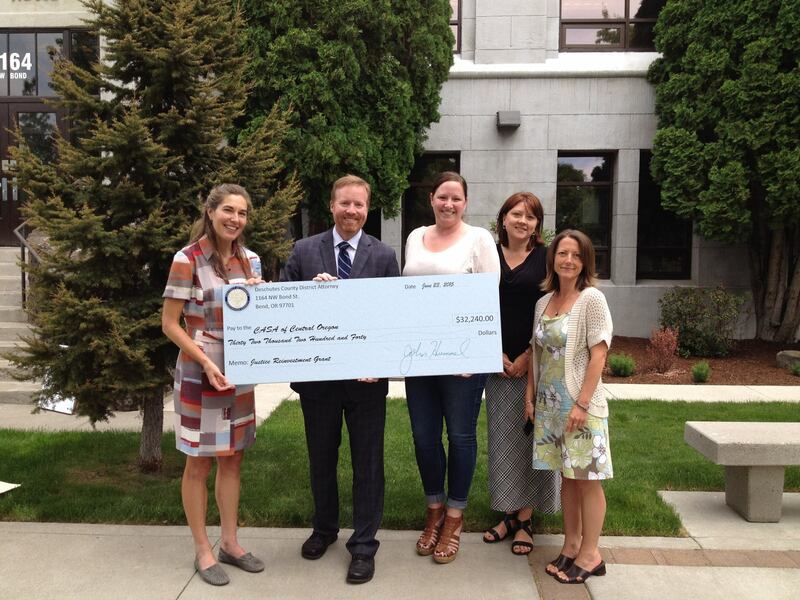 BEND, OR -- Deschutes County is giving a $30,000 grant to help young people transition out of the foster care system. CASA of Central Oregon is expanding its pilot program "Fostering Futures" to help with this goal. CASA stands for court appointed special advocates, and these volunteers are advocates for children going through the system. Executive Director Jenna App tells KBND they've learned some valuable lessons over the years. "If children don't transition into a permanent home before aging out of the system, that transition from being in foster care and then aging out is a time filled with great risk for the young adult. Its really hard to complete an education and make the transition to be part of a productive work force." CASA plans to use the grant to expand training for CASA volunteers to help these older foster children as they leave the Department of Human Services. WASHINGTON, DC -- The Senate has set the stage for final passage of President Obama's trade bill. By a vote of 60 to 37, the Senate approved a motion Tuesday that will allow lawmakers to vote on the legislation Wednesday. Senator Wyden of Oregon made an impassioned plea to his fellow Senators to say yes. "If you believe that Americans should stop the race to the bottom on labor rights, environmental safety rights and human rights --this legislation is a chance to lift global standards up." Thirteen Democrats backed the fast track legislation. This bill will allow the President to send trade deals to Congress for an up or down vote -- allowing for faster approval for trade agreements. 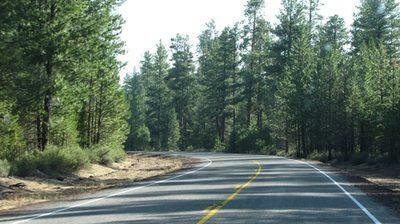 SISTERS, OR -- Plans for a paved path between Sisters and Black Butte Ranch are being revisited. Opposition forced the Forest Service to drop plans last year, but Deschutes County Commissioner Alan Unger has decided to try again. Chuck Humphreys, with the Sisters Trails Alliance, applauds the effort "The Sisters Trails Alliance motto is 'trails for everyone,' and this is a quintessential trail that would be for everyone," Humphreys tells KBND News. "It would make the forest accessible to people who, today, can only get into it by driving. We think they ought to have the ability to walk on the trail or cycle on the trail, or push a baby stroller in the forest." Sisters resident Susie Werts opposes the trail. "I think the process has been flawed, that there wasn't extensive community outreach to gauge of the temperament of the public. It's not going to be ADA - handicapped accessible - and it's been marketed as such, and we need to be truthful about that. 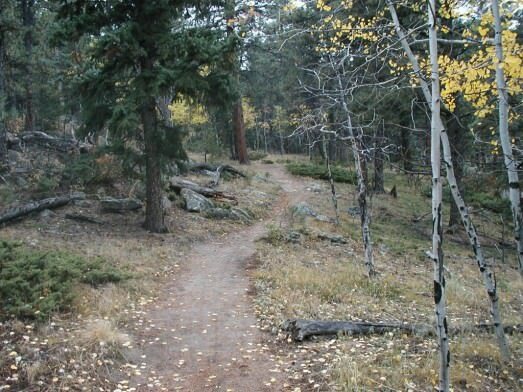 It's using taxpayer money to pay for a trail between two private communities," she says. Werts also believes the location of the trail is too close to homes, "I'm not against the trail, I just think there might be greater usage on a different spot." Werts says the other side of the highway would be a better location. Humphreys believes a majority in the area support the proposal. "When I talk to people, it's rare that I find people who are opposed to it. Most people welcome that kind of amenity. It's not a scientific survey and maybe I only talk with certain kinds of people, but I hear a tremendous amount of support." Supporters plan to ask the Forest Service to conduct another environmental analysis on the trail by late August. If the plan is ultimately approved, the earliest construction could start would be 2020. CROOK COUNTY, OR -- One person was killed in a crash in southern Crook County, late Saturday night. Sheriff's deputies were dispatched to Southeast Bear Creek Road, about 50 miles south of Prineville, just before midnight. Investigators say two people were riding in the bed of an F-350 pickup when the driver lost control and rolled the truck. Both people were thrown from the bed; one was pronounced dead at the scene. The sheriff's office says alcohol and speed are believed to be contributing factors in the crash. UPDATE: Crook County officials released the identity Monday of the person killed in a crash in southern Crook County late Saturday night. Investigators say 30-year old Cayle Krebs of Ione, Oregon was riding with another person in the bed of an F-350 pickup when the driver lost control and rolled the truck. Krebs was pronounced dead at the scene. The Sheriff's Office says alcohol and speed are believed to be factors in the crash. No charges have been filed and the investigation continues. SISTERS, OR -- A bat found in Sisters has tested positive for Rabies, renewing calls from vets and public health officials to make sure pets are vaccinated. A dog captured the bat in its mouth, and was discovered by the dog's owner. State Public Health Veterinarian Dr. Emilio DeBess tells KBND the scenario is the most common way humans come in contact with rabid bats, and serves as a reminder for people to stay safe. "You should always take precautions with dead or dying bats because of all the bats we test in Oregon, about 10% have rabies. It doesn’t say anything about nature; it’s just the ones that we test. So, we’re always concerned about exposing people and animals to rabies." Dr. DeBess says, "For families, we usually remind people not to handle bats with their bare hands. Rather use coffee cans or other cans, without physically touching the animal. That would completely eliminate the exposure to Rabies." He encourages everyone to watch for wildlife that may exhibit symptoms of Rabies. "With bats, for example, they tend to have difficulty flying, they’re not as fast as they used to be, they appear in the daylight when they’re usually active at night; so there’s a significant change in behavior. Some people have seen bats hissing at them or going around at times or in areas they’re usually not found." Dr. DeBess says about 10% of the bats tested in Oregon have rabies. Dr. DeBess says the best way for people to stay safe, is to make sure pets are up-to-date on vaccinations. The Sisters dog is now under a 45-day quarantine. However, without proper vaccinations, Oregon law dictates a pet exposed to rabies be euthanized or placed under a strict 6-month quarantine. This is the fourth bat to test positive in Oregon, so far this year. 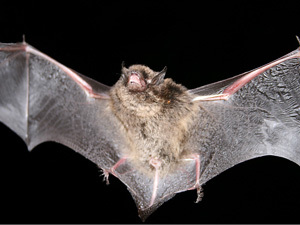 The last rabid bat in Deschutes County was in October 2014. BEND, OR -- Deschutes County Commissioners agreed to declare a state of emergency and impose restrictions on county-managed lands, in an effort to protect from human-caused wildfire. County Forester Ed Keith told the Board the move is important, given the current dry and dangerous conditions. "This is something that was actually enacted last year for the first time, after the Two Bulls Fire and a really dry winter and spring. We’re in a similar situation, but probably actually more dry this year than we were last year." Keith says the restrictions apply to areas not covered by a fire protection district, where the Sheriff’s office is the only available emergency response. "Enacting these regulations really helps the Sheriff try and get the word out as far as what are the appropriate things to do and not do on these lands during these dry summer months we have ahead of us. This applies to the unprotected lands and county owned lands, it mirrors Dept of Forestry regulations that they’ve enacted, and it mainly serves to give people a guide to what they should think about and how they should use things that may cause fire." Commissioner Tammy Baney noted that last year, restrictions were lifted earlier than expected, following several periods of rainfall. Monday's declaration imposes restrictions including limitations on mowing, cutting and chainsaw use, prohibiting fireworks and blasting, and requiring motor vehicles to use only improved roadways. The county has created interactive online map for land owners to see how regulations apply to their property. Click HERE for more information. 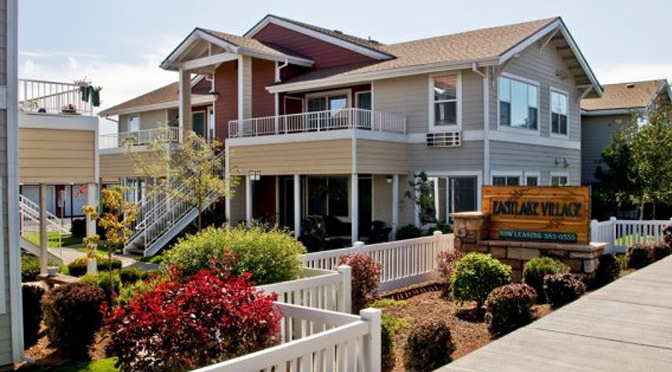 BEND, OR -- Affordable housing is next to impossible to come by in Bend these days. But nearly 300 people are hoping Lady Luck will smile on them, as they vye for just a handful of newly available affordable housing apartments. Lillian Zimmerman was one of 279 people who applied for 40 affordable rental units coming on line next month at The Parks at East Lake. “They sold the duplex I was in, kind of kicked me out on the street, so I couldn’t find anything in my price range," she tells KBND News. "I just heard about it and rushed down here to fill it out and I made it just in time." A lottery will be held next week to randomly select the new residents of the units in east Bend. Income restrictions apply and rents will be below market rates. Affordable housing officials say the 40 new affordable units are helpful, but they will put a very small dent in the local need for affordable housing. PRINEVILLE, OR -- A Prineville man has been arrested on multiple counts of encouraging child sexual abuse. Oregon State Police arrested 32-year-old Ryan Babcock after receiving a tip from the Oregon Dept. of Justice Internet Crimes Against Children Team. Investigators say Babcock had pornographic images of children engaged in sexual activity with adults, then shared the pictures with others through a fictitious email account. Babcock was lodged at the Crook County Jail, and is charged with encouraging child sexual abuse and possessing material depicting sexually explicit conduct of children. SALEM, OR -- Drunk driving is blamed for a bad accident on Highway 20 near Santiam Junction, Thursday night. Oregon State Police say three people were taken to St Charles in Bend following the head-on crash just before 7 p.m.
OSP says a Subaru Outback traveling westbound on Highway 20 lost control and crossed the center line striking a Trialblazer head-on. The driver of the Subaru, 24-year-old Cody Oxford was taken to the hospital with life-threatening injuries. The people in the Trailblazer, 42-year-old Roy Wright and 40-year-old Lauren Wright of Springfield were transported with serious injuries. Oregon State Police cited Oxford for drunk driving. Both directions of Highway 20 were closed for two hours during the investigation. BEND, OR -- OSU Cascades has decided to begin construction on its new four year campus within two weeks. The college plans to move ahead with building the new campus on Bend's west side despite pending appeals. OSU Cascades Vice President Becky Johnson says in the past they've waited while the legal process played out, but now they're running out of time to get the campus ready for students. "Certainly within every stage of the land use process, the appeals process, we've gotten additional information how our application was being interpreted. And LUBA's was particularly strong in affirming that our application complied with city code," Johnson tells KBND. "Based on that, we needed to get started on this project and make significant process even if an appeal was pending." Truth in Site, the organized opposition to the west side campus, has until June 29 to appeal to the Oregon Court of Appeals. OSU Cascades plans to start excavating the ten-acre site off of Chandler Avenue the week of June 29. The four-year campus is scheduled to open to students by the fall of 2016. SALEM, OR -- Representative Knute Buehler's (R-Bend) legislation allowing women to purchase birth control without a doctor's visit has passed out of a Senate committee. The legislation would allow birth control to be sold behind the counter at local pharmacies without a physician visit or a prescription. The contraceptives would still be covered by insurance. Representative Buehler believes this bill will reduce unintended pregnancies and improve women's health. The bill now goes to the Senate floor for a full vote. BEND,OR -- The new pickleball courts at Pine Nursery are full this week as the Oregon Senior Games get underway. Hundreds of pickleball players are competing. There are more competing in that sport than any other. Joan Sponberg of Bend has been playing for five years. "This is my third Senior Games. I played the first time in Yuma. I wasn't going to but they said I had such a smiling face and this woman needed a partner, so I said o.k.. This year I played again and I played last summer here in the Senior Games." Ann Braydeen from Sacramento, California is here to compete. She's been playing pickleball for years. "Our group at home -- its just psychological for me. It's such a good time, we laugh all the time. I feel so much better after I leave, besides getting all the exercise which I love." In the last year, Bend has doubled the number of pickleball courts at Pine Nursery -- thanks to a generous donation by a Bend resident. This year Senior Games participants will be playing on all 16 courts. The pickleball tournament gets underway Friday and runs through Sunday. BEND, OR -- The city of Bend has notified homeowners who suffered damages in last week's water main break, their insurance will cover limited things. They will pay for the extraction of water and the interior drying of homes. But any damage to real property or replacement of items or landscaping will have to be covered by the homeowners. Heidi Robles tells KBND her home saw $200,000 dollars in damage. "We had an excavator doing excavation of dirt out of our front yard for two days. My personal belongings were in the basement, my mother's antique armoire and other mementos. And replacing our hot water heater is not included." The city says department crews were on scene within 12 minutes of the water main break and claims adjusters determined the break was not due to negligence on the city's part. MADRAS, OR -- When St. Charles Madras had difficulty finding experienced Labor And Delivery nurses to fill a number of openings, management took their search global. Deloris Gooden-Martin is one of three nurses from Jamaica who began working in Madras in the spring. She says she took the job so she could expand her skills in an ever-changing field. "Professionals should evolve as the trends in nursing evolve. And then, I started feeling stagnant back home. So, in an effort to learn more and expand my knowledge, I enrolled with a recruiting company and it has brought me here. I was interviewed and accepted and decided to come." She now lives in Madras with her husband and 7- and 9-year-old boys, and tells KBND there have been some cultural adjustments, "Getting to know the principles, the policies, the procedures and the whole culture of the hospital that I’m at, and the culture of the community that I’m in. But, the transition has been a great one. I was a bit tense coming here, not knowing what to expect – will I be accepted? But, I’m feeling like I belong here; I don’t feel like an outcast." Gooden-Martin says there are a lot of differences between working in a Jamaican hospital and Madras, including learning new technology that she realizes is available for every patient. But, she says after delivering hundreds of babies in Jamaica, the overall care of expectant mothers is the same. "The most surprising thing to me is the relationship the managers have with lower level staff, that’s sort of different; you don’t have that close relationship with top management and lower level staff. It’s kind of surprising to see how everyone gets along as a family; it’s just like one big family." The three nurses signed two-year contracts with St. Charles. Gooden-Martin says she would be interested in staying longer, if that were to be extended. REDMOND, OR -- The city of Redmond is making plans to nearly double the size of Centennial Park. Mayor George Endicott says purchasing the block between the current park and the future site of city hall has been in the works for a while. "We just last week signed the paperwork to acquire the Opportunity Foundation property, the several lots on that block that they own," Endicott tells KBND News. "We now own that. So, the long term plan – it’ll be several years from now – will be to tear that all down and extend Centennial Park." He says the property could eventually be a plaza for outdoor performances. He hopes the city will eventually acquire the entire block between the park and Evergreen Elementary, which is currently being converted into a new City Hall. "If you think about it, we have the park proper there today, that was built for the Centennial; five years hence, we end up with a city hall; then a few years later we then extend the park to anchor all that together." Right now, the Opportunity Foundation thrift store sits on the newly acquired lots. The non-profit plans to open a new store on the south end of town, July first. Endicott says urban renewal funds and the anticipated sale of the current city hall will help pay for the property purchase. Click HERE to listen to our full conversation with Redmond Mayor George Endicott. SISTERS, OR -- A hiker from the Portland area was rescued from the Green Lakes Trail near Sisters Wednesday, after suffering a medical emergency. The man’s hiking partner called 911 at about 3 p.m. to report he had become ill after two days of hiking. Dispatchers determined their exact location via cell phone data. 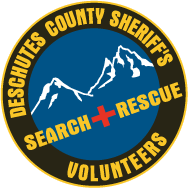 More than a dozen Deschutes County Search and Rescue volunteers hiked in nearly five miles from the Pole Creek Trail Head and provided some medical treatment. He was later transported by Sisters medics to St. Charles Bend for additional treatment. SALEM, OR -- The House Commitee on Rules held a public hearing Wednesday on a bill to raise the state's minimum wae to 13 dollars an hour. House Speaker Tina Kotek is introducing the legislation to give workers a living wage. "So why $13 for the state? At this rate, most workers would be above the federal poverty level and that was my goal. Because I believe if people work for a living, they should earn a living wage and that was a guiding value for me." Opponents testifeid at the hearing, including Republican Representative Bill Kennemer. "I suspect the solution is not in the minimum wage. We need better jobs. In my experience, back in the 1970's when I had five part time jobs, which was exhausting." This new bill takes into consideration criticism of other similar bills introudced earlier in the session. BEND, OR -- Increasingly dry conditions and hotter tempeatures have state officials tightening fire restrictions in central Oregon. Starting this Friday, new restrictions will be in force for state managed lands in twelve counties, including Deschutes, Jefferson and Crook Counties. District Forester George Ponte says these rules hope to prevent human caused fires his summer. "In Central Oregon half of our fires are human caused. We need to reduce the number. Obviously there was the Two Bulls fire last summer and the Shevlin Park fire last week. We really need people to follow these restrictions so we don't have any human caused fires." Starting Friday, open fires are prohibited except in designated areas. Chainsaw use is prohibited between the hours of 1 and 8 p.m. -- as is mowing dry grass between the hours of 10 a.m. and 8 p.m.
Also use of motor vehicles, motorcycles or all terrain vehicles is prohbiited except on improved roads. BEND, OR -- Bend will be hosting for a second year the Oregon Senior Games. The games get underway Wednesday and go through Sunday. Six hundred athletes are expected to compete, up about a hundred from last year. Hank Therien with Visit Bend wants to encourage others to participate. "We struggled with folks thinking senior athletes means over 62 and you have to be a really good athlete. The big take away I'd like to leave you with is these games are as much social engagement as athletic endeavor. 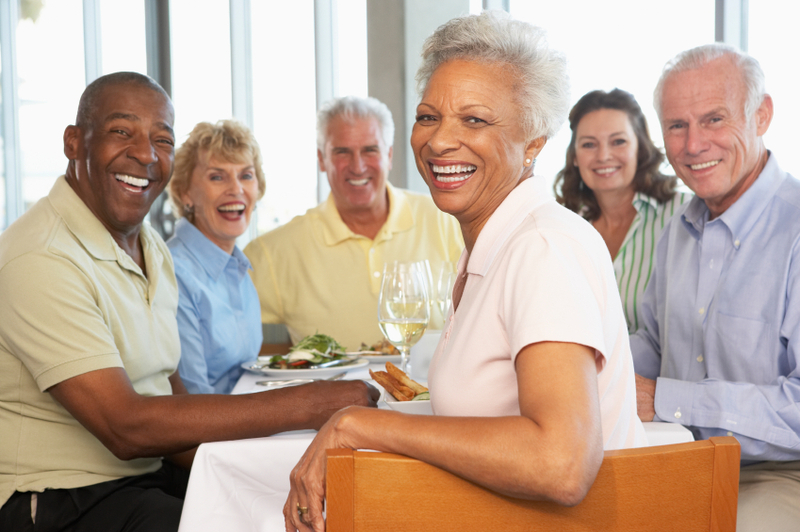 Anyone over 50 who likes to stay active can compete. Keep us on your radar and look for us in the future." Pickleball has the most participants --but other sports include golf, swimming, track and field, shuffleboard and table tennis to name a few. SALEM, OR -- Starting on July 1, Oregonians can possess and use recreational marijuana with limits. But people may not be clear on what's allowed and what isn't. That's why the Oregon Liquor Control Commission has launched a new website to help people know what's legal. Tom Towslee with the OLCC warns police will be on the lookout for intoxicated drivers as recreational pot becomes legal. "There's not a test to see if someone is intoxicated from marijuana. But driving impaired is illegal regardless of what is causing the impairment. I think police do a good job of catching impaired drivers and I anticipate as July 1st appraoches, they'll be more alert to that issue." 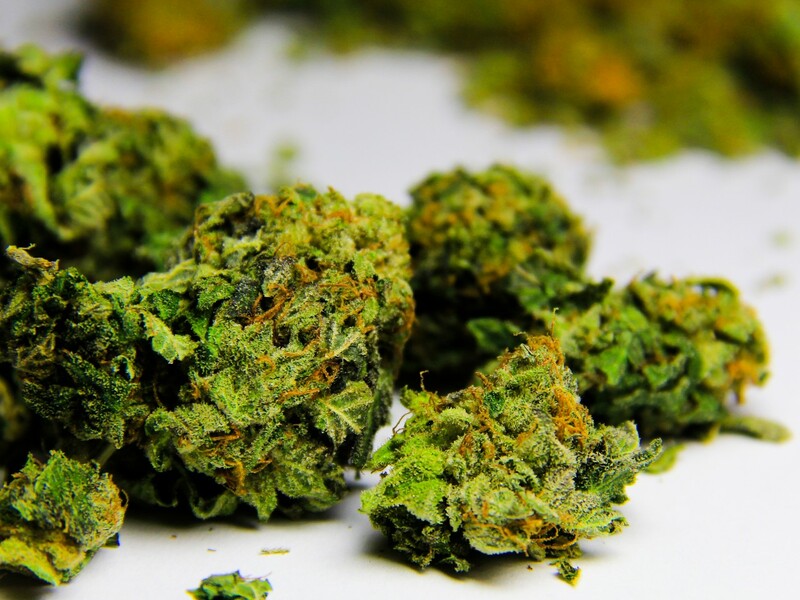 The new state website contains key information on what you need to know -- like you can possess up to eight ounces of marijuana in your home and up to one ounce outside the home. And you can grow up to four plants per residence, out of public view. But you can only use recreational marijuana if you are 21 or older. BEND, OR -- Construction of the Bend whitewater park is on schedule, that means we're closer to being able to use the stretch of the Deschutes currently undergoing a major makeover. 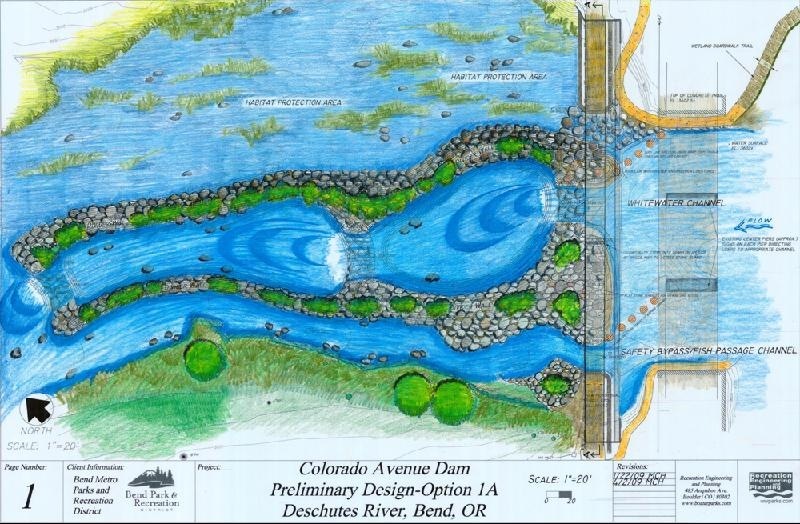 Shifting the entire flow of the deschutes river is no easy task, but Brian Hudspeth, Construction Manager of the Bend whitewater park project, tells KBND they have done just that. "The Colorado Safe Water Passage project will come to and end, it will be completed late this summer. With that will be the new footbridge and the three river channels. Tthe habitat channel, the whitewater channel in the center and the safe passage channel on river left, as well as the new beach at McKay Park, which is open today." For the time being, floaters upstream from the Colorado Dam still need to exercise safety when approaching the project. "People that are floating the Deschutes River right now, that put in upstream, can still take out and portage around the project like they've always done. They can put back in there at the beach at McKay and continue downstream to Drake Park." Crews have completed a safe passage channel and a natural channel. They are now finishing the white water channel, which will be available to kayakers late this summer. At that time, upstream floaters will be able to continue down the safe passage channel. Improvements to Mckay Park, including a new public restroom, will be completed next summer. BEND, OR -- The Bend Police Department is once again warning against giving personal information to strangers who may call claiming to be government officials. Despite being long past tax filing season, scammers continue to contact Central Oregonians posing as IRS employees. According to Bend Police, fraudsters threaten jail time or additional financial penalties if they don't turn over personal financial information. The IRS continues to remind people they will not call demanding money. If you owe back taxes, the agency will typically contact you via U.S. mail. SALEM, OR -- Oregon’s unemployment rate continues to hover just above record lows. State employment economist Nick Beleiciks says May’s statewide rate was just a tenth of a percent above the previous month. "The current rate of 5.3% is in the range that Oregon’s unemployment rate typically is during an expansion. The last time Oregon’s unemployment rate dropped lower than this was in 1995, when it dropped down to 4.7%." Experts speculate the slight uptick in May could be a reaction to strong gains in recent months. Oregon’s mild and dry winter helped many seasonal workers stay on the job. For example, Construction employment stood at its highest May total in seven years. Oregon lost about 1,400 jobs last month, mostly in the retail trade sector. But, it’s not necessarily bad news. Despite the one-month decline, Beleiciks says overall employment is up nearly 3% from this time last year. "With the unemployment rate being so low, a lot of people are waiting to see some real increase in average wages, and that is happening. That’s happening across the US and in Oregon. Over the last year, average hourly earnings increased 2.2% - that turns out to be real wage gains for the average worker in Oregon." Beleiciks says that means employers weren’t hiring as many workers as they typically would this time of year. "Oregon’s labor force participation rate is at a historically low level. It’s at 60.5% right now. However, this was largely expected based on population dynamics as more baby boomers reach retirement age and leave the labor force, and that naturally brings down the labor force participation rate." Central Oregon's regional unemployment numbers for May are due out next week. REDMOND, OR -- More than a dozen residents were evacuated from a Redmond assisted living facility, early Tuesday morning, due to a fire. Redmond Fire crews responded to The Heights just before 1 a.m. and found a first floor hall filled with smoke. The Fire Marshal credits working smoke detectors and a sprinkler system for containing the fire to a mechanical room. Investigators determined the cause to be combustible items stored too close to natural gas water heaters. Seven first floor residents remain at a neighboring nursing home until repairs are made. BURNS, OR -- Archeologists will start digging again next week in the Burns area for signs of life from more than 15,000 years ago. In past digs, scientists uncovered volcanic ash dating back to an eruption of Mt. St. Helens, about 15,800 years ago. The find challenges previous belief that the Clovis people were the first human inhabitants of North America. Scott Thomas, Archeologist with the BLM office in Burns, tells KBND the discovery is controversial. "Now, the theory has changed dramatically, and there are these early sites that are pre-Clovis, which means before 13,500 years ago. And, those people we think probably came from the same general area, but they got here earlier, and actually Clovis is not first, anymore. And, that's pretty well accepted by many archeologists in North American, but some are still holding out." Thomas adds, "We didn't go out to find one of the oldest sites in North America. We didn't expect to find ash that dated to 15,800 years ago. As a matter of fact, we were totally shocked when we found out about it. I think a lot of people that find these really old sites, aren't digging for old sites, they just stopped excavating when they run out of seeing cultural materials like flakes and charcoal or hit bedrock, and that's essentially what we did. We dug until we hit bedrock." 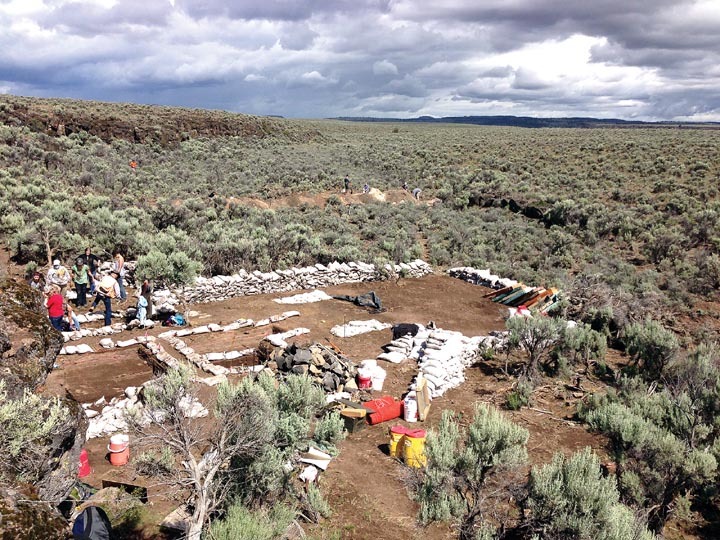 Twenty archeologists withe the Bureau of Land Management and the University of Oregon Archeological Field School will start digging again on Monday. In previous efforts, scientists at the site near Riley discovered tools with bison blood on it, and fine, black hair. BEND, OR -- Bend's public transit system doesn't have a steady source of funding, but that could all soon change. Central Oregon Intergovernmental Council Executive Director Andrew Spreadborough will announce Friday how the organization plans to bolster financial stability for Cascades East Transit. "What the challenge is, we're by far the largest transit system in Oregon without a dedicated funding source, without a tax base or some method of support," Spreadborough tells KBND News. "So, our resources for support are pretty limited." 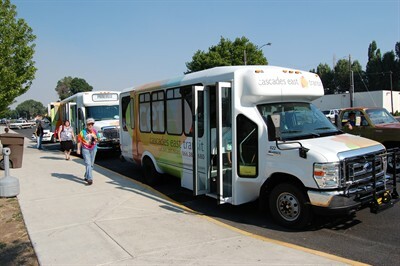 An expansion of Bend's fixed-route bus system could give the new OSU-Cascades west side campus more transportation options. Spreadborough says, "I think we've long recognized that west side development is going to occur, including the OSU-Cascades campus. And, I do think transit could be a part of the solution, along with bikeable communities, walkable communities and other developments that are planned. We've worked very hard with OSU-Cascades and the city of Bend." Spreadborough plans to continue that collaborative effort. A series of new partnerships between COIC and a number of large local employers could provide more stable funding for the CET bus system. Those partners include, the city of Bend, OSU-Cascades, COCC, St. Charles Health System and the Bend Chamber of Commerce. BEND, OR -- With two weeks until recreational marijuana becomes legal in Oregon, local addiction facilities are preparing for an anticipated rise in the number of users seeking drug treatment. Karen Tamminga is a clinical supervisor with Deschutes County Behavioral Health Outpatient Services. She tells KBND News, "The most people in Deschutes County who seek treatment are coming in for an alcohol problem. That’s probably about 40%. Second – a little bit surprising - is methamphetamine. We saw a big drop in meth abuse in the early 2000s when there were some restrictions on pseudoephedrine and not being able to get it over the counter. But, we’re still getting a lot of meth coming up from Mexico." However, Tamminga says, "Marijuana is the #3 reason why adults seek treatment. There’s a not of belief out there that marijuana is not addicting that it doesn’t cause problems. But, those in the treatment field recognize that people are coming in and saying ‘hey, I’m having trouble, it’s become a problem for me.’ So, that is likely to become even a bigger issue as it becomes legalized July first." As marijuana becomes more socially acceptable and easily available, Tamminga says it’s likely to move into the number two spot. Tamminga is concerned pot is becoming more addictive and harder to quit. "It may not be physically addicting, but there’s something about it. It’s probably the THC level, which has jumped from 7-10% in the 60s and 70s to well over 20%. Here in Oregon, we boast that we have pot that’s in the 30-percents." That high THC level increases pot's addictive properties. BEND, OR -- The fire that broke out in Bend's Shevlin Park last week was likely human caused. A joint investigative team made up of the Oregon Department of Forestry, the Bend Fire Department, Oregon State Police and the Deschutes County Sheriff's Office came to that conclusion, although they're not sure if it was intentional or accidental. Deschutes County Emergency Services Manager Sgt. Nathan Garibay tells KBND News Thursday's fire scorched about 7.5 acres. "If you live in the urban area interface or, for that matter, in urban areas adjacent to wildland fire-prone areas, you are subject to the effects of wildland fires. Due to the fact that this was so close to town, I think it really increased concern for a large number of people; they could see the smoke, they could see the activity." Garibay says now is the time to create "Defensible Space" around your home. Clear gutters of pine needles, reduce shrubs that could ignite nearby trees and keep debris off your deck. It's only June and fire officials fear this could be a busy, dangerous fire season. Anyone with information that could help investigators is asked to contact the Sheriff's Office. BEND, OR -- City officials are trying to get the word out that only rain water should go down storm drains - and they're using artwork to do it. "The city of Bend stormwater utility and the city of Bend's arts beautification and culture commission and the upper deschutes watershed council are all wanting to use art for awareness. So, you see the art and you go, 'oh, that's beautiful,' and you're all of a sudden paying attention," Donna Britt with the beautification commission tells KBND. The theme is "It's all connected, protecting the Deschutes River from Storm water pollution." Artists have until June 19 to submit proposals and sketches for a 72" x 72" design. 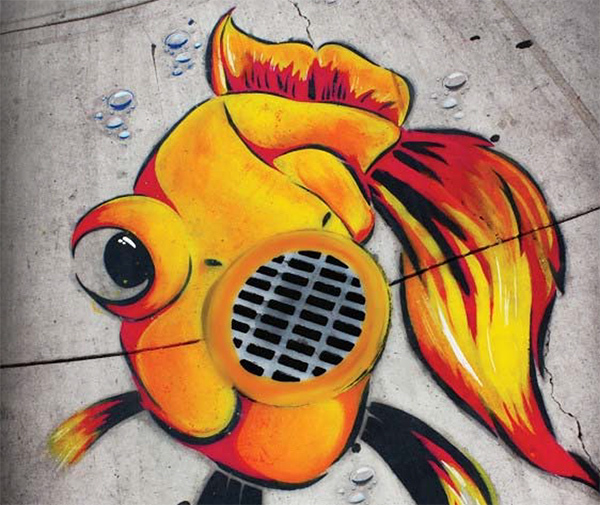 Three winning designs will go right on storm drains in August. Britt says once the three winning designs are selected, they will be installed on storm drains in August. "There will be a little sign or a message where you'll say 'It's really important that nothing goes directly into a storm drain except just the rainwater because that goes directly into the river.'" BEND, OR -- Bend City Councilors have discussed the idea of a gas tax to help pay for badly needed street improvements. But local Republicans think it's a bad idea, and they're ready to campaign against it. Reagan Knopp, Chair of the Deschutes County Republican Party, says they are getting out in front of the issue. "We've been hearing lots of City Councilors talking about a gas tax. We looked into the city's budget which is increasing by $10 million. In the state of Oregon, we pay 50 cents a gallon in federal and state taxes. We're not sure Oregonians can afford that with the legislature's new hidden tax that is expected to increase the price of gas. We're very concerned it's hurting small businesses and working families." City officials have discussed a 5 cents per gallon tax that could raise an estimated $2.5 million annually. Councilors say it has put off more than $80 million in deferred street maintenance. Knopp tells KBND, "Deschutes County Republicans are going to be out in front of this and bring a voice to the opposition. We think the City Council needs to take a hard look and keep looking for solutions in the next budget before looking for new taxes." He plans to organize a grassroots effort to fight plans to put a gas tax initiative on the ballot this November. BEND, OR -- Senator Ron Wyden (D-OR) is trying to pass legislation that would help the craft beer and wine industries grow in Oregon. He met with industry leaders for a roundtable discussion at Deschutes Brewery on Sunday. Wyden's legislation would reduce federal excise taxes for craft brewers, cider makers, vintners and distillers, and would update antiquated rules. "This legislation acknowledges that they are world-renown and a boom to the Oregon economy and we want to build on that kind of growth in the days ahead. They are all homegrown, unique industries and what we tried to do is focus on taking a targeted approach to updating these antiquated rules and reduce taxes so that we could create more high quality jobs for the state," he said. Gary Fish, founder and CEO of Deschutes Brewery, was part of the panel. 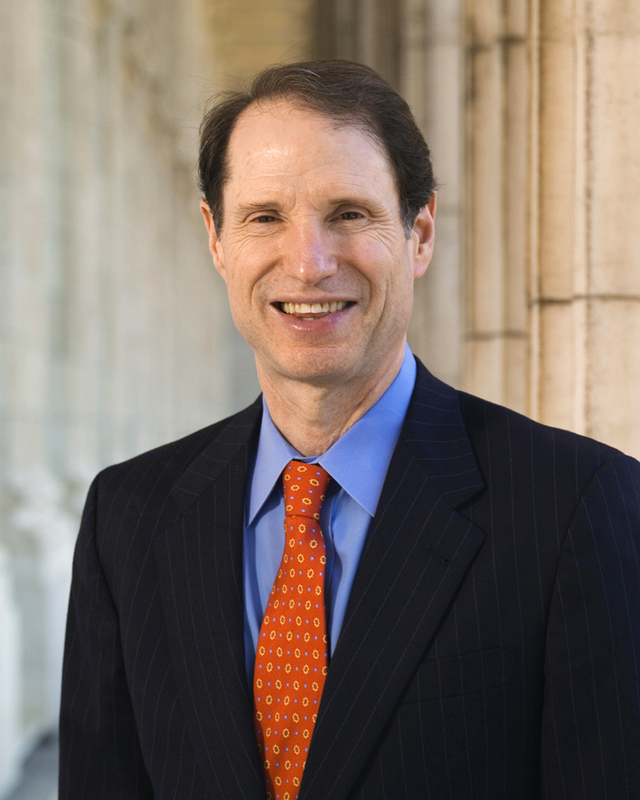 He believes Wyden's proposed legislation will make a difference. "Nobody is taking this and sticking it in their pocket and walking away. This is all going to buy equipment, hire people, improve pay and benefits, it's going to do all the things that small businesses work their tails off to do all the time." Sen. Wyden told the group, "Government doesn't create jobs, the jobs come from the private sector. If I can help set the climate in the right way, I think the people around this table will be able to go do their thing. As Gary said, as someone who has been in the business, the growth would be substantial, because the businesses here say the tax policy alone - apart from the regulatory side - would free up hundreds of thousands of dollars in order to invest back into businesses." He says in Oregon, these industries are responsible for an estimated 40,000 jobs and generate about $6 billion annually in revenue. SISTERS, OR -- Several crashes snarled traffic as thousands tried to leave the Sisters Rodeo, yesterday. The first occurred At about 4 p.m., when a car ran into a power pole on Highway 20 between Sisters and Bend. That accident temporarily cut electricity to the area, including at the rodeo grounds. About an hour later, another crash blocked both lanes of Highway 126 near Cloverdale, between Sisters and Redmond. A car fire was also reported nearby. Both highways reopened at about 6 p-m. No word on any injuries. SISTERS, OR -- Old McKenzie Pass will open to cars on Monday. Each year, road crews clear snow in hopes of opening the scenic highway by the third Monday in June. Peter Murphy, with the Oregon Department of Transportation, tells KBND they weren’t able to open the snow gate early, even though the road has been clear for a while. "We’re trying to give people a date to plan on, and if you start maneuvering that date around, it futzes with their plans. So, you have to try and select a date and start working that date out into the public so they can plan; and then you can’t change it." The highway is already open to non-motorized travel. Pass conditions are clear for drivers, bikers and pedestrians. "Right now, McKenzie is probably a great place to drive and ride your bike and walk because there’s no snow and we’ve been up there and cleaned it," Murphy says. "If it were me, and I had a weekend and had some time, I’d certainly want to go up there and drive through one of the more beautiful drives we have here in Oregon. People from all over the country and even other parts of the world come to see it. So, we’re going to open it up Monday morning, and let people enjoy it." 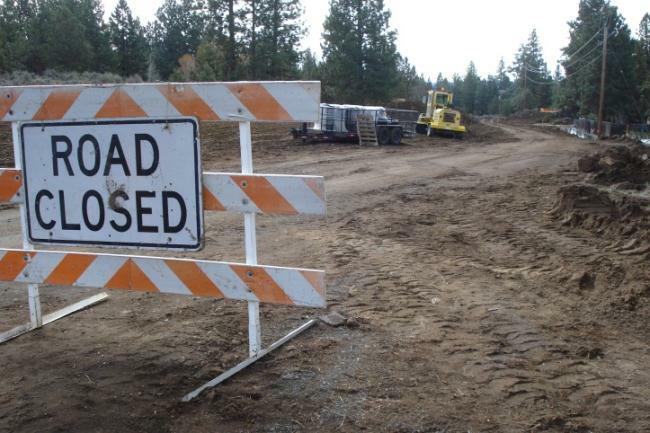 The pass – also known as Highway 242 – closed November 13. For the latest road conditions, visit ODOT's Trip Check website. REDMOND, OR -- With school now officially out, local districts are ready to start free lunch programs to help students even during summer. Bend and Redmond programs begin Monday, June 15. Tammy McCombs with the Redmond School District says for some kids, lunch is their main meal. "If they were at home alone, there's really not that much to eat. Every day they really count on coming out and getting a nice hot lunch that really they wouldn't have access to, otherwise." Last summer, the Redmond School District distributed more than 23,000 free lunches. One of their seven lunch sites will combine education with the meal, this year. "That's a really exciting program that we're launching this summer," McCombs tells KBND. "In conjunction with our Title I aid program, there will be Title I aid teachers and education assistants at the library three days a week. Kids can earn free books, they can listen to story time." Kids 18 and under can receive free lunch at a number of Bend and Redmond locations, no questions asked. Some Redmond sites also offer free breakfast. SALEM, OR -- Jefferson County joins Crook and Deschutes counties with an official drought declaration from Governor Kate Brown. With the addition of Coos, Douglas, Gilliam and Jefferson counties on Friday, more than half the state has received drought emergency status. Jefferson County officials agreed to submit a formal request to the Governor earlier this month. "Oregon is only just beginning to face what will likely be an unprecedented wildfire season and drought. We must now rise to the challenge that a changing climate brings," Governor Kate Brown said in a statement. "My proposed $56 million water package gives local communities the tools to prepare for drought conditions that may persist for years to come. It is imperative not only for us, but for future generations, that we take action now." The Governor has issued drought declarations for 19 of Oregon's 36 counties, which is designed to increase the flexibility in how water is managed in those areas. In 2014, nine counties were declared as drought emergencies. Deschutes County received its declaration in May; Crook County in April. Friday, 8:30 a.m. UPDATE: Fire crews expect to remain on scene through today, to ensure there are no flare ups. Drivers are urged to use caution as there will still be some large firefighting equipment moving around the scene. Road closures and pre-evacuation notices have been lifted. BEND, OR -- Bend fire crews are getting the upper hand on a brush fire that is burning near Shevlin Park. A hiker reported the fire by calling 911 at about 1:30 Thursday afternoon. It started at one tenth of an acre about a quarter-mile downstream of Aspen Hall, and grew to ten acres within an hour or so. Click HERE to view the fire area and evacuation notices. Bend Fire Chief Dave Howe told KBND News Thursday, they've managed to prevent the fire from growing. "It's holding at eight to 10 acres and they're cautiously optimistic they can contain it at that. It's not really moving anywhere right now. We've still got that air tanker flying overhead. We do have a helicopter on scene that's working. We have 19 units on scene, including engines, hand crews, dozers. So, we think we're actually looking like we're in pretty decent shape." "Obviously with the proximity to town, they're going to activate as many resources as they can as soon as possible so they can hold it in check," Howe said Thursday. "They have activated a wildland task force, that means you get a group of other apparatus from outside the area, other departments, to get more resources assembled to be used if necessary." The Three Pines and Shevlin subdivision were put on standby to be ready to leave if conditions worsen, although that pre-evacuation notice was expected to be lifted overnight. 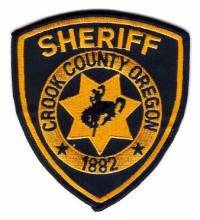 The Deschutes County Sheriff's Office closed Shevlin Park Road between Park Commons Drive and Bull Springs Road. Fire crews remained on scene all night to watch for flare ups, and expect to continue efforts on Friday. Chief Howe says it will be a while before they know what caused the fire. 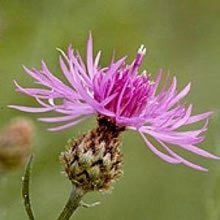 BEND, OR -- Most of us can't tell the difference between Puncturevine and a Spotted Knapweed, but that won't stop hundreds of volunteers from participating in the nation's largest weed eradication day on Saturday. Event organizer Cheryl Howard says "Let's Pull Together" is an effort to get rid of non-native plants that can cause big problems. "They are an environmental disaster. So, if we look at communities in Montana or Wyoming, we see national forests that have been decimated by these plants; And in Central Oregon this is why it becomes a really big deal. We're surrounded by all of these beautiful natural forests." Non-native, invasive weeds cost Oregon more than $100-million each year, and can also destroy local crops. Howard, who is also the Volunteer Coordinator for the city of Bend, started "Let's pull together" 12 years ago when she found an invasive plant in her garden. "It really falls to the community to be savvy on what these plants look like, and what they're looking for, so when folks see them out and about they know this plant does not belong here. This is an environmental disaster as big as if it was a wildfire." Bend's Let's Pull Together begins at 9 a.m. Saturday at Summit High School, Pilot Butte State Park and the west side of the footbridge at the Old Mill. Afterwards, volunteers will be treated to a free lunch and live entertainment. 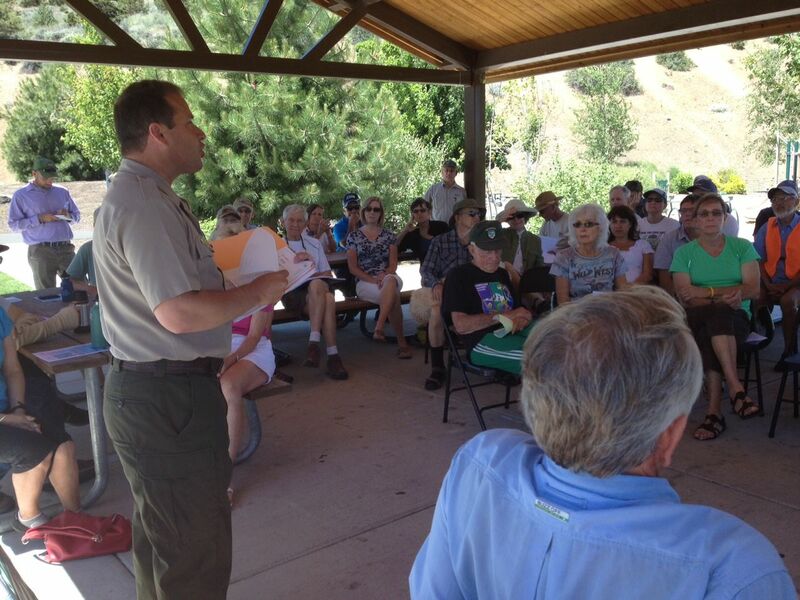 BEND, OR -- More than 50 people attended a town hall-style meeting with State Parks officials Thursday, to discuss concerns with Pilot Butte. One attendee called it "unprecedented" when the State Parks District Manager called the meeting and invited frequent users and local Pilot Butte State Park advocacy groups. Ron Kihs told the group the park was originally designed in the 1920s as only a scenic viewpoint, and noted the growth of Bend has made more demands on the cinder cone. "How many people believe it to be a scenic viewpoint? How many people view it to be a fitness park? How many people believe it to be a natural resource wonder that you want to keep that way? Everyone has a different opinion," Kihs said. "What if you think it's all three? That's what we have - and we have to manage it for all three." Kihs says the department plans to increase the presence of rangers at the state park. "I commit to you today, after talking to Jerry Winnger, our Regional Manager, Jerry has asked us to go ahead and boost up the presence along the trails. When you see a ranger who should be walking the trails at least two to three times a week for two to three hours, that's a good time to talk to the ranger about individuals that you might have seen that are not complying with the rules." Other topics discussed at Thursday's meeting include adding speed bumps to the road up the butte, preventing and fixing erosion, stopping people from running up the butte off the trails, and how volunteers can work on butte improvements. BEND,OR -- The Oregon Land Use Board of Appeals has upheld the city of Bend's decision to let a four year university go forward on a ten acre parcel on the west side of Bend. The group "Truth in Site" appealed the city's decision claiming in wasn't in compliance with land use laws. OSU Cascades Vice President Becky Johnsopn says they're happy with the ruling. 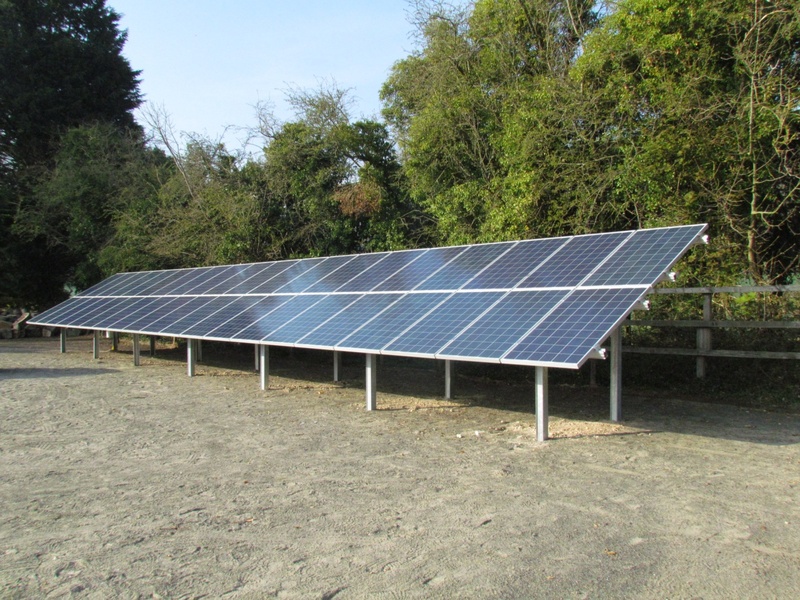 "We're obviously really pleased it affirms the three previous decisions on the site plan. And it affirms our compliance with the city of Bend's code and we're excited we can move ahead with development of the university that the community overwhelmingly supports." But the opposition group, "Truth in Site" plans to appeal to the Oregon State Board of Appeals. Scott Morgan with Truth in Site says this won't be the last word. "Obviously we're disappointed learning that LUBA's hands are tied, but as Ken Helm said his hands were tied and the city of Bend's hands were tied. Everyone understand this needs to be master planned. So it doesn't really surprise us, not ruling for us in this manner." Morgan says he is cautiously optimistic the Oregon Supreme Court will strike down these previous decisions supporting the site plans on Bend's west side. REDMOND, OR -- American Airlines says it will stop its daily flights from Redmond to Los Angeles this fall. They will continue to offer this route, but only seasonally during certain times during the year. Roger Lee was part of the group that raised 350-thousand dollars in prepaid tickets to entice American to start offering the direct flights two years ago. "We look at numbers pretty regularly, pretty religiously and we're very optimsitic. That's why this announcement is curious. We're going to continue to talk with American and work toward other options because the L.A. to Central Oregon connection is an important one." The Airport and Central Oregon Air Service team says they will continue their efforts to reinstate daily Los Angeles airport service in the enterim. SALEM, OR -- Dozens of Oregon county officials are pressing the state legislature to close a funding gap, after a report revealed a major shortfall in funds for the upkeep of roads and bridges. Deschutes County Commissioner Alan Unger signed a letter to lawmakers this week, along with 30 other county leaders, pressuring the legislature to pass a transportation package. "I'm hopeful that, maybe not this session because it's running out, but through the summer we'll hopefully gain enough momentum to hold a special session just to deal with this issue." Unger tells KBND if Republicans continue the deadlock, road maintenance cost for counties will increase. "Let's say the legislature passes an increase in the gas tax, that would mean more money to the county and more money to our cities; the city of Bend would be able to invest more in our road system." Republicans are seeking concessions from Democrats on clean fuels legislation that passed last month. Unger speculates that if concessions happen, some Republicans could vote for a tax increase. "They all see the need and the concern. There are some legislators that say if you're going to raise taxes in any way, they're going to oppose that. But, if we don't pay today, it costs us more in the future, so we just need to step up." House GOP Speaker Mike McLane (R-Powell Butte) has said he won't agree to raise taxes to fund a transportation package. According to a 2014 state study, counties could face a $505 million per year shortfall in maintenance funding over the next three years. REDMOND, OR -- After a horrific crash on Highway 97 in Redmond, last weekend, many drivers are questioning whether the intersection is safe. The driver of the Corvette, 19-year-old Patricia Jaeger, continues to recover following the crash when her car was run over by a semi truck. Redmond Police say the truck driver failed to stop at a red light, and hit two other cars after the Corvette. 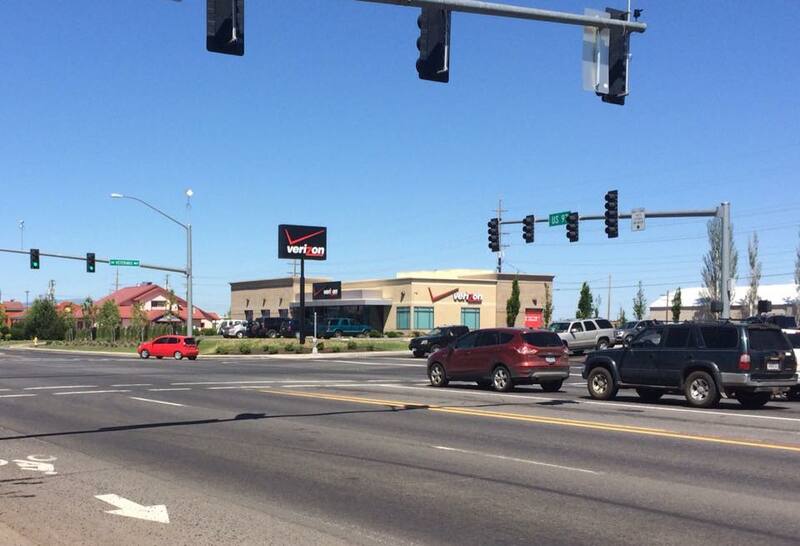 Between 2009 and 2013 - the last year ODOT has records compiled - 36 crashes occurred at that intersection. Peter Murphy with Oregon's Department of Transportation says that’s not an unusually high number. "It looks like a majority of the crashes happen when it’s dry out and there’s no snow. And, the other thing we’re finding is that a preponderance of them are rear-end crashes; so generally, that’s someone up in front stopping at the light, and someone from behind is striking them, for whatever reason. But, it does not appear that weather is a factor." Of the 36 crashes that occurred in or near the Highway 97 and Veterans Way intersection during that five-year span, 19 were rear-end collisions. Murphy tells KBND the intersection is unique for Redmond, given the large amount of traffic that flows through all directions. "We have intersections that are perhaps a little more problematic than Veterans, but it does represent a challenge for motorists. And, in fact, we’ve lowered the speed limit there, following a request by the city of Redmond. So, we’re trying to do things that can make not only Veterans but also other intersections more safe." Murphy adds, "There are any number of steps that can be taken to notify motorists that an intersection coming up, a traffic control device, and that’s what we’re in the process of doing. But, really ultimately out there on the road, it’s the driver that has to notice signs and signals. I’d like to say there’s one particular cause, from an engineering perspective, we could fix. But, what it’s beginning to look like is that motorists share a preponderance of the guilt for these kinds of crashes happening." BEND, OR -- Homeowners continue mopping up after a river of water rushed through several properties along NE 8th Street in Bend. Public Works officials say a 12" pipe failed at about 4:45 Wednesday morning, sending water up through the street and into homes. Heidi Robles called 911 as soon as she realized what was happening. "I heard a really loud sound that sounded like really loud thunder and lightning and instantly I heard like what sounded like pouring down rain. And, I was like, ‘oh my goodness, it’s really raining,’ and I stuck my hand outside and there was no water coming down. I looked outside and there was just water flooding into my backyard. We came out front and water was just like a river pouring from the top of our driveway into my front door area." She woke up her husband and called 911. "The lady I was speaking with asked if I had water in my house, and I said no. My husband came to me a couple minutes later and said ‘call her back, our basement - I’m watching it flood.’ There were a couple of police officers who came out and called the city in. The water ran for probably 45 minutes before it was shut off." Eventually, her basement filled with 8-feet of water and mud. It didn’t take Robles long to realize her neighbor’s house was also flooding. "After about 10 minutes, I looked over and the water was at their front porch, so I called over there and woke them up. But, their crawl space is filled to about a foot below their floor. The guy from the city told me that we got the worst of it, that our basement kind of saved the people behind us. Because, 660 square-foot basement filled 8’ high of water would have continued on, but we stopped it." The city shut off water to their homes and 13 others in the area while Public Works crews made repairs to the water main. Robles says she has no idea how much damage has been done, but she doesn't have flood insurance, and - because the water main break was on city property - her insurance likely won't cover it. A public Works supervisor says the city's risk management department and insurance company is already involved. The cast iron pipe was installed in the late 1960s. According to the city of Bend, it broke due to its age and the rocky soil in which it was installed. To view more pictures from the incident, click HERE, and click HERE to view a video. 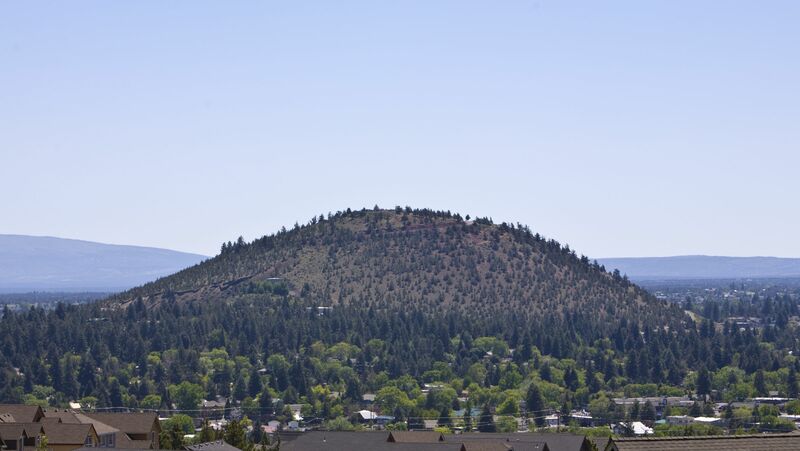 BEND, OR -- A new group hopes to address what it calls the deteriorating condition of Bend's geographical landmark, Pilot Butte. Save Pilot Butte wants to increase public awareness about the condition at the butte. Roger Stanton hopes they can make it easier for the general public to get involved in preservation efforts at the state park. "We have a challenge," Stanton tells KBND News. "The Butte is going into demise. The only way we're going to be able to change that is to bring public awareness strong enough to the Oregon State Parks Department so that they should do something about it; because people care!" Stanton adds, "Oregon State Parks Department says they don't have the funding. I'm going 'why do you need funding and money when you have people that are willing to donate materials, donate their backs, be up there and working on Pilot Butte.'" Save Pilot Butte joins Pilot Butte Partners and Pilot Butte Summit Seekers in efforts to address needed improvements on the heavily used landmark. The State Parks Department his holding a meeting at the Pilot Butte parking lot Thursday at noon, where members of all three groups plan to share concerns about how they can help maintain the butte. REDMOND, OR -- Certain areas within Central Oregon are suddenly seeing the return of mosquitoes this week. 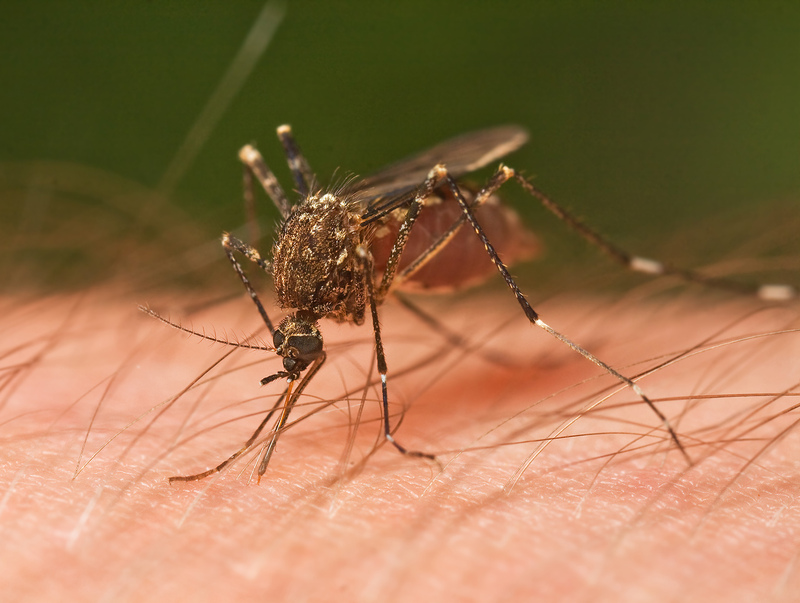 Chad Stubblefield, Director of the Four Rivers Vector Control District in South County, tells KBND News the biggest problems so far this season are in areas near farm and ranch land. "They’re flood irrigating their pastures and that is THE reason the mosquitoes are so bad in those areas – northeast and northwest Redmond, Alfalfa, East Bend and Madras, they create a lot of mosquito habitat with their farming." Stubblefield says our mild winter, followed by a wet spring, and then sudden hot temperatures created ideal conditions for a thriving mosquito population. "So what we found is that the swamps were melted in January, but normally, they’re thawing in March or April, even. What that did, is it allowed mosquitoes to hatch out when normally they would be dormant until spring came. We were consistently finding second in-star larva the first week of March." He says they usually don’t even see first-stage larva until the end of March, although cold temperatures kept mosquitoes at bay until temperatures spiked this past week. He says, there are things people can do to mitigate the problem. "Really what you can do is make sure you’re not creating more of a problem around your house – all of the standing water, flower pots, buckets, tires, clogged gutters. You know, mosquitoes can grow in a thimble of water if it stands for a week or so. Get rid of all the standing water. The best thing you can do is just avoid peak biting hours – one hour before and after sunset." Stubblefield admits, though, if they’re hungry and reproducing, they’ll bite anytime of day, and once temperatures hit 90, like we have been this week, mosquitoes can mature from egg to flying in a week. He suggests a repellent that includes Deet, Picaridin or IR-35-35. If the little bugs are unbearable in your area, Stubblefield says you can call a pest control company and request a barrier treatment around your property, which can provide some relief for up to 30 days. 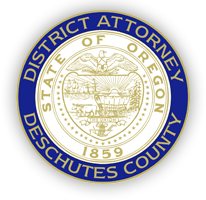 BEND, OR -- Deschutes County's District Attorney has decided not to file any charges against the man involved in a shooting incident at his home on Wickiup Road, last March. Todd Dickerson called 911 claiming a masked intruder broke into his home and shot him. Dickerson eventually admitted to authorities it was a failed suicide attempt. D.A. John Hummel tells KBND News charging him with filing a false report seemed unnecessary. "Before the shooting, Todd Dickerson was suffering from depression, but no one knew it. He was afraid to have anyone know, so he didn't share it with his wife, friends or co-workers. He was concerned about the stigmatism of mental illness. After the shooting, when he thankfully survived, he said 'enough of this' and got into mental health treatment." Hummel adds Dickerson is now regularly seeing a therapist. "He's speaking out against mental health stigma and telling people if you're suffering from a mental illness, get help, don't ignore it. He turned his life around. He had no prior record, and for him, the criminal justice system isn't going to do anything for him he hasn't already done for himself." For Hummel, the case highlights the need for awareness. "We need to take this head-on. No one would think if you had a broken arm not to go to an orthopedic surgeon. If you're struggling with a mental illness, they're embarrassed and feel employers won't value them as an employee, so many people are struggling with the demon inside. If we can just be a society that says, 'enough.'" He says one in five Americans live with a mental disorder and nearly 2/3 of them don't seek treatment. 9:20 a.m. UPDATE: Bend Public Works continues to continue repairs on the broken 12" water main located on NE 8th Street between Ravenwood and Dyer. Roads are expected to remain closed in the area until at least 5 p.m.
15 homes are without water and service should be restored by 5 p.m. Several properties suffered substantial damage including flooding. The cause of the break appears to be pipe failure. BEND, OR -- Bend police evacuated homes in the area of NE 8th Street and Ravenwood Drive, this morning, due to a broken water main which flooded the area. Responding officers report water moving quickly and were initially concerned at least one home could be moved from its foundation. They shut down NE 8th from the roundabout at 8th through Dyer Dr at about 5 a.m., as water has begun seeping up through cracks in the road. Public Works and Cascade Natural Gas, along with Bend Police and Fire are on-scene evaluating the damage. BEND, OR -- Bend Police managed to prevent a domestic dispute from escalating into a "suicide by cop" incident. Officers stopped 36-year-old Christopher Nolan near NE 6th Street, after he allegedly fled a domestic dispute. When officers tried to arrest Nolan for violating parole, he reached into his car, grabbed a large knife and started cutting his wrists and neck as he walked into orchard park. Nolan repeatedly yelled explatives at officers and told them to shoot him. The exchange was caught on video by a bystander. On the video, officers can be heard repeatedly yelling, "Chris! Get down on the ground!" While a woman looked on saying, "My son has gone crazy." Officers eventually were able to taser him. Nolan was taken to St Charles, where his injuries were determined to be non-life threatening. Nolan is charged with menacing, unlawful use of a weapon and parole violation. BEND, OR -- Oregon's Land Use Board of Appeals announced today it would uphold a lower court's decision and permit Oregon State University to move ahead with development of its campus on the west side of Bend. KBND News will have more information as it becomes available. The Oregon Land Use Board of Appeals has cleared the way for Oregon State University - Cascades to move forward on construction of the 10-acre campus in Bend. A decision dated June 8 makes it possible for OSU-Cascades to welcome students to the region’s long-awaited four-year university campus during the 2016-2017 academic year. While OSU-Cascades will welcome its first freshman class this September, groundbreaking for the new campus has been delayed by more than a year after opponents unsuccessfully filed appeals with the city and then the state land use board. Today’s LUBA decision affirms that both Bend city officials and OSU-Cascades properly followed the land use planning process. Since 2013, more than 3,500 Central Oregon residents have attended public and civic meetings focused on the campus. Hundreds have shared ideas and advice at those meetings or through their participation in OSU-Cascades advisory groups. UPDATE: Fire investigators say the blaze started by a combination of high temperatures caused WWII-era smokeless gun powder to spontaneously combust. The nearly 75-year-old powder was breaking down and the owner was planning to discard it, but hadn't yet done so. The powder ignited and spread to nearby combustibles before spreading to the attic through the eave. Neighbors report hearing a large boom prior to the blaze. Investigators believe the explosion was the result of a can of WD40 catching fire. 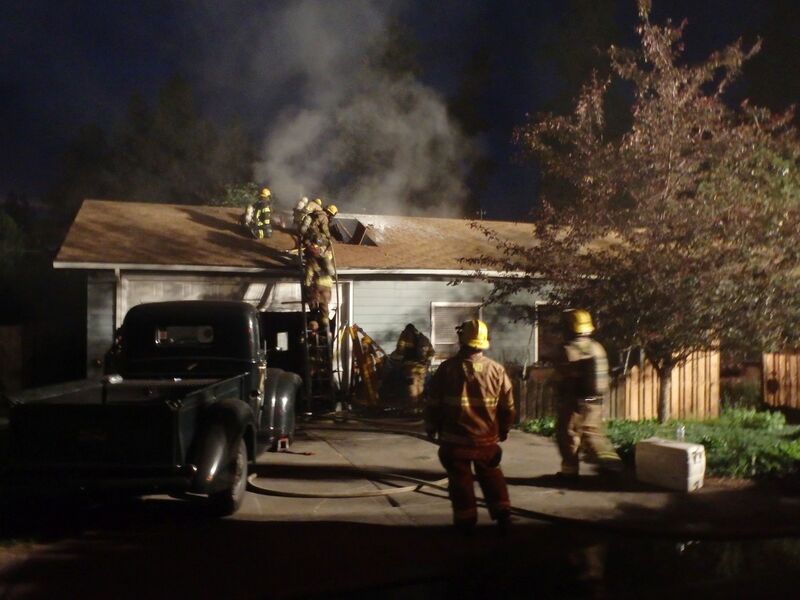 BEND, OR -- The Bend Fire Department is investigating the cause of a house fire on Northwest Davenport, Monday night. Crews responded just after 8:30 p.m., and found smoke coming from the roof and fire on the back side of the home. Officials say the fire wall separating the main house from the garage helped contain the fire to the attic over the garage; although it still caused about 100-thousand dollars in damage to the structure and its contents. It took about 40 minutes for firefighters to bring the blaze under control. BEND, OR -- Public transportation could soon be expanding in Bend. The Central Oregon Intergovernmental Council, which manages Cascades East Transit, is working on a proposal to implement the next portion of its long-term master plan. COIC Executive Director Andrew Spreadborough says the overall goal is to meet a variety of community transit needs. "One of the highest priorities in our long-term plan is adding hours of operation, particularly on weekdays. Right now, the service ends at about 6:20 on weekdays, so we’re looking to extend that out further, as late at 8 pm on weekdays." It's still early in the process and the budget is not yet secured, although Spreadborough says an expansion would partly be funded by available federal dollars. The Public Transit Advisory Committee meets later this month to discuss the issue in more detail. "We’re also looking at some concepts, in terms of adding routes and increasing the frequency of busses, to make it easier for riders to get on a bus. This is all conceptual at this time. We’re looking at a number of different scenarios and looking at costs, we don’t have our budget in place yet. But, understanding we have opportunities over time, we wanted to begin the public input process." Ridership has remained fairly flat over the past couple of years, although Spreadborough believes if the program expanded, more would use the system. He says the Bend system is financially balanced and therefore could sustain an expansion, while other communities are still dependent on Dial-A-Ride. "We know at some point, we’ll be moving Redmond to a fixed-route system. We don’t have the funding in place; we don’t have a dedicated funding source for the Redmond system. We don’t have the resources in place yet. Plus, when we start looking at that down the road a bit, we’ll really want to do some outreach to make sure any expansions meet the needs of the community, so we’ve got some work to do there." Spreadborough says any changes to the Bend system would be six to 12 months away. PRINEVILLE, OR -- Investigators believe a discarded cigarette is to blame for a fire at a Prineville townhouse, early Tuesday morning. According to Crook County FIre and Rescue, the small fire began just after midnight, when it spread to the building's siding. Prineville Police evacuated families from the units, and one person was using a garden hose to try and extinguish the fire, when crews arrived at the NW 10th Street location. Damage is estimated at about $5,000. REDMOND, OR -- Central Oregon's hot temperatures broke records Monday. The previous record high at the Redmond Airport was set in 2003, which was shattered with an official high of 98 degrees on Monday. However, with unofficial thermometers soaring past 100 in many areas, Redmond's splash pad at Centennial Park was a popular place to cool off. Martha and Shawn Murphy brought their three- and five-year-old daughters to the park, and Martha tells KBND being five-months pregnant makes it even more difficult to stay comfortable. "We have A/C at home, but it's not doing the trick. You've got to come down here and get in the water." Courtney Scott brought her three- and five-year-old kids for the first time. "We've driven by and seen it and thought we'd try it out to keep the kids cool today!" Many tried to stay inside with air conditioning, but for some that's not possible. Jonathan Magana was working on a nearly constructed new home in Redmond, Monday. He says it's not easy to stay cool. "I just try to stay hydrated and drink lots of water. It's really hot out here!" He says his crew tries to strategically work around the construction site where shade is available. Madras and Warm Springs also hit triple digits, yesterday. Highs are expected back into the low 90s today, and will stay in the 80s through the end of the week. BEND, OR -- As we head into summer, the city of Bend reminds people to try and conserve water where you can, especially when watering lawns. Governor Kate Brown issued a drought declaration for Deschutes County last month, but that currently isn't changing the usual water restrictions for residents. 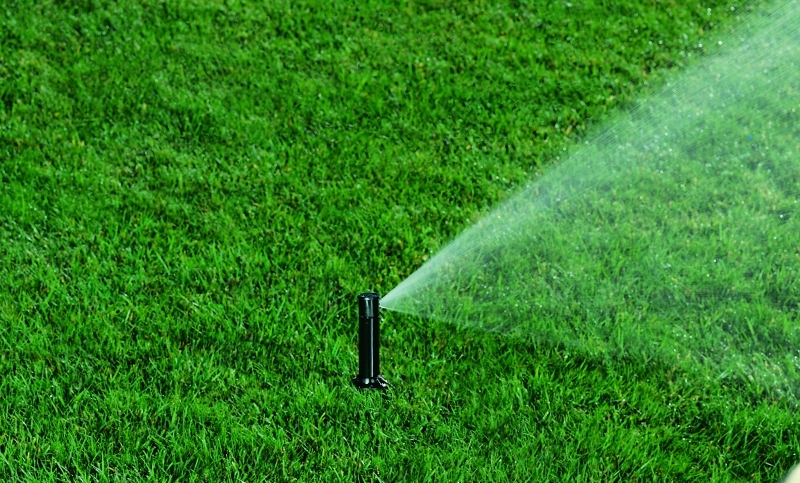 Mike Buettner, Water Conservation Manager for the city of Bend tells KBND, "We're not enacting any mandatory watering restrictions now, outside those that already exist. Those are designated irrigation days and hours. So, if you're a city of Bend Water customer, we still have even/odd days: If your address ends in an odd number, you should only be irrigating on an odd number day. And, we don't allow irrigation between the hours of 9 a.m. to 5 p.m. We really want people to irrigate during the nighttime hours, if at all possible." Buettner says the best way to conserve water is to look for ways to reduce irrigation usage. He says a significant portion of the city's water use comes from irrigation. "Water use over the course of the year really spikes in June, July and August for us here in the city. A significant portion of our water use comes during these three months, largely due to irrigation. What we want people to do is to go out and make sure irrigation systems are properly aligned, make sure you're not spraying the sidewalk or the street. And, make sure you're only applying as much water as needed." PRINEVILLE, OR -- The Crook County Sheriff's Office responded to a report of a shooting at a home north of Prineville, Sunday night. Deputies arrived at the residence at about 8 p.m. One man was transported to St. Charles Medical Center for treatment of a gunshot wound. The Tri-County Major Crime Team was activated to assist in the investigation, which continued through the night. All involved parties have been contacted and law enforcement believe there is no threat to the public. The investigation is ongoing. The names of those involved, and the specific location of the incident, have not yet been released. REDMOND, OR -- A semi truck allegedly failed to stop at a red light, running over the top of a Chevrolet Corvette, and rear-ending two other vehicles, Sunday afternoon. The crash occurred just after 2:30 and shut down Highway 97 at Veterans Way for several hours. According to Redmond Police, the semi, driven by 31-year-old Santokh Singh Samara, ran into the vehicles when they stopped for a red light on northbound 97, in front of Walgreens. Emergency responders arrived to find two females pinned inside the Corvette, with the truck still on top of the car. Both were extricated. Traffic was rerouted around the intersection so an air ambulance could land on the Highway to transport the driver of the Corvette to St. Charles Bend. She is listed in critical condition. Her passenger and the driver of a second car were taken by ambulance to St. Charles Redmond where both were treated and later released. Samara was issued a citation for careless driving and was later released. Bend, OR -- A 36-year-old Bend woman was arrested Friday morning on multiple drug charges. Katherine Walsh was taken into custody after officers fielded multiple complaints of drug activity at her Boyd Acres apartment. Bend police seized user amounts of methamphetamine in the apartment and found other drug-related evidence. Walsh faces charges of unlawful possession of meth, frequenting a place where controlled substances are used and a probation violation. PRINEVILLE, OR -- Two Crook County girls were injured when their ATV collided with a Chevy Suburban outside of Prineville. According to the Crook County Sheriff's Office, the pair was riding an ATV in the middle of Forest Service Road 33 Saturday evening, when they came around a blind corner and collided with the SUV. The father of one of the girls was on a separate ATV at the time, and both juveniles were wearing helmets. One girl was thrown from the ATV and was seriously injured, the other sustained minor injuries. The driver of the Suburban reportedly tried to avoid the crash, and no citations were issued. 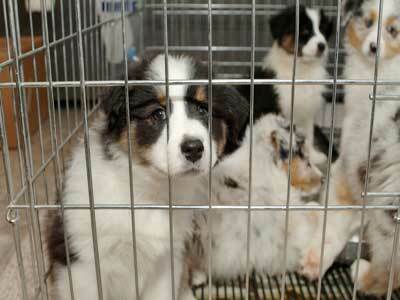 BEND, OR -- Dog flu has now spread to 40 states, including Oregon. A case has been confirmed in the Portland area, with more tests pending. Recently, some local dogs have developed coughs. Local veterinarians are not sure whether these are cases of Kennel Cough or dog flu, as the symptoms are similar. Dog owner Stephanie Humphrey tells KBND her 9-month-old yellow lab, Lincoln, got sick earlier this week. "Monday night, in the middle of the night, I woke up to him wheezing and coughing and it went all night long. From 3:00 to 7:00 a.m. the coughing was so bad he was throwing up." Her vet has not said it's dog flu, but the puppy is being monitored. Humphrey warns other dog owners to be on the lookout. "If you see any symptoms -- start to cough, gagging -- even if you've had them vaccinated against Kennel Cough, check it out because you don't know if it's Kennel Cough or something else." Dog flu is often transmitted between dogs in group settings like dog parks, kennels and shelters. Kennel Cough, or Bordatella, is also often spread at dog parks. 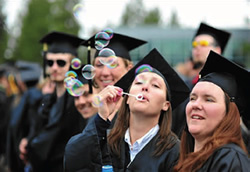 BEND, OR -- Central Oregon Community College will recognize one of its largest graduating classes next Saturday. Ron Paradis with COCC says the large number of students who successfully completed one- or two-year programs this year is likely a continuation of recession-level highs. "We’d averaged about 450 to 550 graduates throughout most of the first part of this century. In about 2010, that number started moving up quite a bit. We had 610 graduates in 2010, then 814 [in 2011] then in 2012 we went over a thousand. And for the last two years, we’ve had about 1,200 graduates." However, the trend isn't expected to last. Paradis tells KBND News, "We think this year will be the last year of a big number of graduates, as our enrollment has begun to decline. And, so, we expect the number of graduates to start dropping off, as well." Paradis says because many graduates go on to four-year programs, only about a third of the students will participate in commencement on June 13. "We expect about 400-425 students to be there to be awarded their certificate or degree that day. Representative Knute Buehler from here in Bend will be the speaker this year. And, the ceremony will start at 10 and go for about an hour and a half." BEND, OR -- A new community coalition has formed in an effort to ensure a four-year university comes to Bend. "Now for Bend" has launched a website and just released a new poll showing 60 percent of respondents favor a campus on the west side of Bend, while 35 percent oppose it. Jane Teater is the co-coordinator for Now for Bend. She tells KBND, "I feel like it's way too important to slip out of our grasp at this time. If we were to wait and allow people who are focusing on issues of growth, which are traffic, parking, housing -- which are all very valid issues. But, if we allow issues of growth to be the deterrent, we perhaps lose the opportunity to have higher education here, for at least this generation, and perhaps, permanently." Teater says the group is hoping to counter Truth in Site's aggressive attempts to stop the campus expansion. "What I think is not being talked about is there is no other site, there's no perfect site, but there's no other site for this campus. This is the only location with a sizeable portion of land inside the UGB. Everything else would be 10 to perhaps 20 years off, and the big thing is we risk losing our funding from the legislature." She feels a four-year university is the missing piece when it comes to opportunities for education and economic advancement. "Bend is going to grow with or without a university. A university brings smart growth; a university brings stability, economical innovation; it gives opportunities for a skilled workforce. Since we started this endeavor, there isn't a day that goes by that someone doesn't say to us 'I can't hire a skilled workforce.' We need this opportunity. The university has done a spectacular job of developing curriculum and programs and areas of degrees that are in response to the needs of our region." Now for Bend has 55 partners, made up of private citizens, businesses and civic organizations. SISTERS, OR -- A 70-year-old Sisters man was killed in a single-vehicle crash on Fryrear Road, Thursday night. According to the Deschutes County Sheriff's office, Michael Anthony Graham was northbound near Warrin Road at about 8:15 p.m. when his BMW convertible left the roadway and rolled multiple times. Graham was ejected from the car and pronounced dead at the scene. His dog was found in good condition at the crash site. Investigators believe speed was a factor in the crash. Graham was not wearing his seatbelt. BEND, OR -- OSU-Cascades expects to hear any day now from the Land Use Board of Appeals as to whether the school can expand its four-year campus on the west side of Bend. Kelly Sparks with the Bend campus says the school can't move forward on discussions to purchase the 46-acre pumice mine, until LUBA decides on the future of the initial 10-acre parcel on Chandler Avenue. "Well, it really is dependent upon the process by which we go through the Land Use Board of Appeals," Sparks tells KBND News. "I anticipate that we will make the decision this summer, but I can't say that with all certainty." Sparks says officials with the Bend branch are working closely with OSU's main campus. "It has been a very collaborative process. They are very much aware of the information and have been engaged with us since the determination of the site selection process. So, they will work with us to help determine the final decision on the selection of the site." Once LUBA rules on the 10-acre parcel, Vice President Becky Johnson and Sparks expect to make a recommendation to Corvallis on whether to advance talks on the adjacent 46-acre land tract. Purchasing the mine and the required earthwork could cost up to $7.5 million. The school has secured a $4 million state bond, matched by more than $4 million in donations for campus development. LA PINE, OR -- A La Pine home sustained significant fire damage, overnight. Firefighters were called to the home along Dorrance Meadow Rd Wednesday night at about 11:30 p.m.
Alicia Dey and Jeremy VanDyke, along with an 8-year-old child, evacuated the home when they heard the smoke alarm go off. 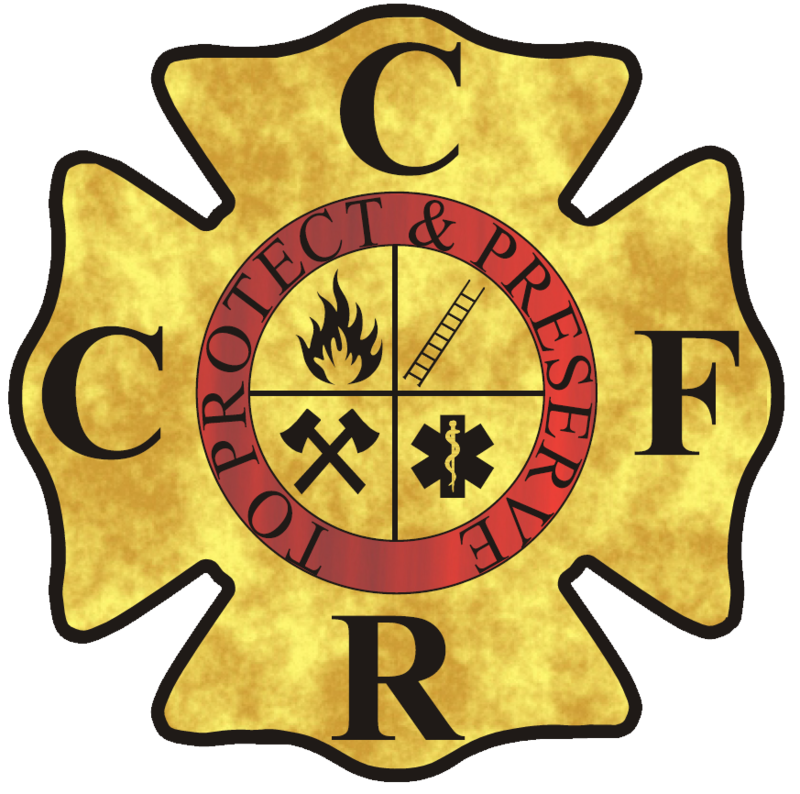 Fire crews were able to bring the fire under control within 20 minutes; however, the entire structure sustained heavy heat and smoke damage, especially in the living room. Preliminary investigation has determined the fire likely started in an electrical outlet in the living room. The home is considered uninhabitable. Neighbors helped the residents with immediate shelter and the Red Cross has been notified for assistance. 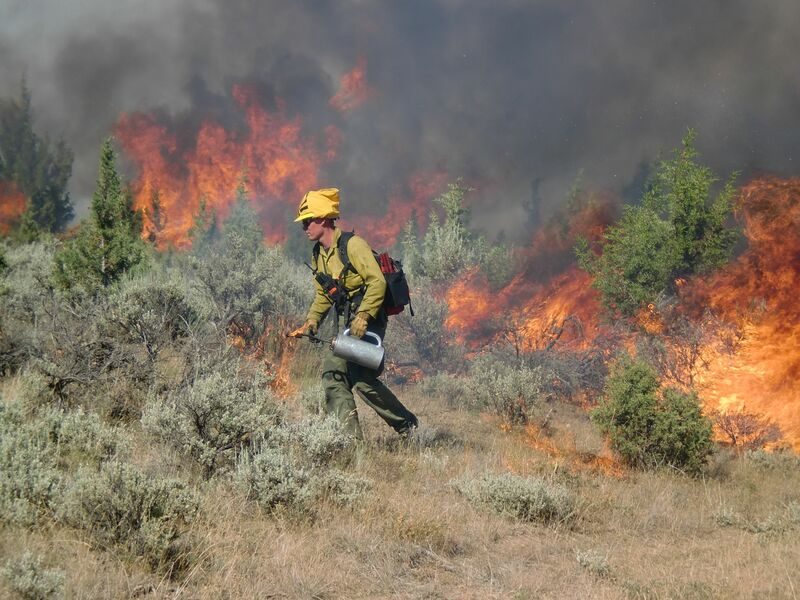 BEND, OR -- Two more prescribed burns are planned for the end of this week. A 119-acre burn will take place adjacent to Phil's Trailhead, starting at about 11 a.m. on Friday. The parking area at the trailhead will close Friday, to accommodate fire vehicles and personnel that need to be in close proximity to the burn. 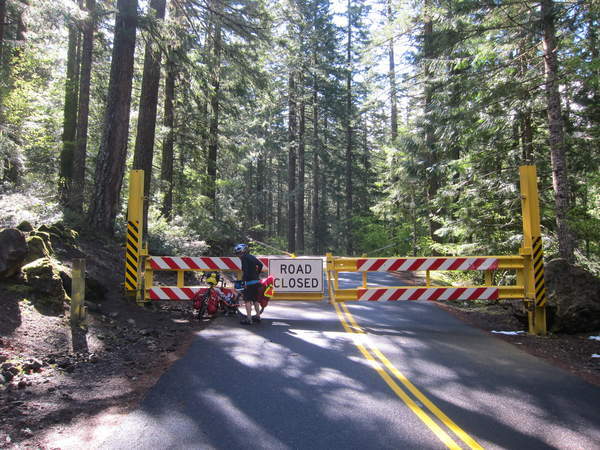 Forest Road 4604, with access to the trailhead from Skyliners Road, will also be closed. The trail system will largely remain open. Also Friday, crews will burn up to 42 acres near Black Butte Ranch, one mile south of Highway 20 in the Glaze Meadow area. No road closures are expected, although BBR will likely be impacted by smoke. On Saturday, a 136-acre burn is planned for the western edge of Bend, next to Cascade Lakes Highway, north and across from the "Good Dog" area. Forest Road 010 will close during the burn. It's also slated to begin at about 11 a.m. and should be completed by 1 p.m. Winds are forecasted to push smoke up and over Bend, the Forest Service says that should limit impacts on the community. However, smoke will be visible from Bend and surrounding areas. Residents are advised to keep windows and doors closed during night hours, when there is the greatest potential for smoke in the area to linger. BEND, OR -- Madras High School will have new principals this fall, and they're familiar faces. Two are former Bend High principals, Mark Neffendorf and H.D. Weddel. Neffendorf left Bend to take a job in Tigard, and Weddel left in 2014 to become the chaplain of OSU's football team. But, he says Division I football can undergo change. "You know, when I left Bend High, which I loved, to go to OSU to work alongside Coach Riley. In December, Coach Riley took a job with the University of Nebraska. Well, as much as I love the huskers, we're Oregonians and love it." Weddel tells KBND he heard about the principal openings at Madras High from his friend, State Superintendent Ron Saxton. "I looked at it, and walked the campus with students and it was great. It was such a warm, good place. So, I called Mark Neffendorf and told him about the couple of openings and said 'Let's see if it works!' And we did." Neffendorf was Weddel's predecessor at BSH and will serve as Principal at Madras High. He left Bend to take a principal job with the Tigard School District, but was also looking to move back to Central Oregon. Weddel will join Nate Tyler as the two Vice Principals. Weddel acknowledges being VP at Madras High will be different than in Bend, but he's looking forward to the challenge. "I'm humbled by the opportunity to work with them. The population is different, no question aboutthat. The poverty rate is much higher, well over 70% in the high school. They've got some things like that, but great opporunities." Community forums will be held Tuesday, June 30 for students and parents to get a chance to meet all three new administrators. BEND, OR -- The Murphy Road/Brookswood Avenue roundabout project will force traffic through detours all summer long. But, while the roadblock may cause headaches for drivers and potential nightmares for nearby businesses, you won't see many frowns. In fact, they're flying banners that read "Let's make the best of summer road work," featuring a smiley face wearing a hard hat! Travis Lovejoy, of C.E. Lovejoy's Brookswood Market, tells KBND News, "It certainly hasn't been negatively affected. We haven't seen a downturn at all. This time of year, we typically see a little uptick in business so it's hard to know for sure whether the road closure is actually helping business or if it is just due to the time of year." He says it's a team effort, "Let's use it as an opportunity to maybe gain customers, maybe gain additional customer loyalty. We're all in this together, so let's all make the best of the situation we find ourselves in." Cricket Kadoch, Marketing Manager for Brookswood Meadow Plaza, says, "To be negative about it doesn't help the community. I mean, with these types of situations, the detours during school times through traffic - People are already negative, so how about being positive about it and saying 'Hey, let's make the best of this' and hopefully that helps everybody get through it. So, when they come in and see the banner at Lovejoy's saying 'Let's make the best of summer roadwork,' they're not going to be bogged down by negative. Especially when they've just come through the detour!" The Brookswood roundabout project is due to be completed in September. BEND, OR -- Ten years after moving to Central Oregon, a technology company is expanding its Bend headquarters and hiring. Tech Soft 3D created a 3-D format now used in many PDF applications. CEO and co-founder Ron Fritz tells KBND News, "Tech Soft has continued to grow pretty steadily in the 18 years since we started, although growth has accelerated in recent years due to two things: one is, adoption of our 3D technology that’s imbedded in PDFs and web visualization." Fritz says when the company first moved to Bend in 2005, they almost chose not to publicize it’s headquarters was no longer in the Bay Area. "If you’re a technology company, you really want to be seen in the Bay Area; and having Bend, Oregon listed as your headquarters might make you seem like a Podunk operation. But, at this point, I think that’s completely turned around. Being a technology company in the Bay Area, you’re just one of a very large crowd. But, being a technology company in Bend, Oregon – which has a certain cache and name familiarity, now – catches people’s attention and makes you different from the rest." Tech Soft now employs about a dozen people at its Bend headquarters, and has outgrown its upstairs suite on Chandler Avenue. Fritz says that may not seem like a lot for one company, but Tech Soft has big plans. "We moved from probably a third of the upper floor and took over all of the downstairs. We have three positions open at the moment and we have a plan to continue to add positions there in Bend, so we’re just planning for the future." He says Tech Soft also has offices in California, Ohio, Japan France and the U.K., but the bulk of its North American sales force is in Bend. BEND, OR -- Affordable housing is difficult to find in the Bend area, to say the least. But, help may soon be on the way. After years of little to no multi-family construction, the city of Bend is now seeing interest from developers. Aaron Henson, Senior Planner with Bend's Community Development Department, tells KBND News 10 different projects are underway. "Most of them are actually out of area developers- Eugene, Seattle. There are folks from other parts of the northwest that are seeing the rent levels reaching that tipping point, with vacancy rates really low. They're responding to the market demand." Henson says there was only one complex built in the past 10 years, and that was just built last year with about 100 units. 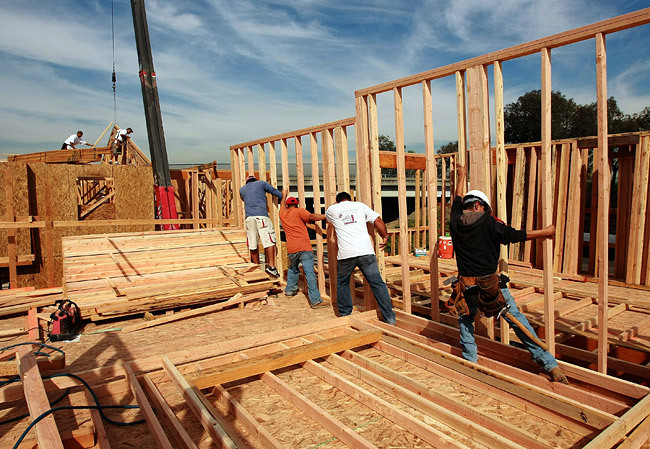 "There hasn't really been much, if any, apartment construction going on in nearly a decade. With few exceptions, there's been very little activity in the multi-family sector." He adds, "Rents have risen high enough and relative to land costs and construction costs, all of a sudden it makes sense to finally build some more apartments. Given our extremely low vacancy rates, it's desperately needed and long overdue." Most of the 10 projects filed with the city are on the northeast side of Bend. 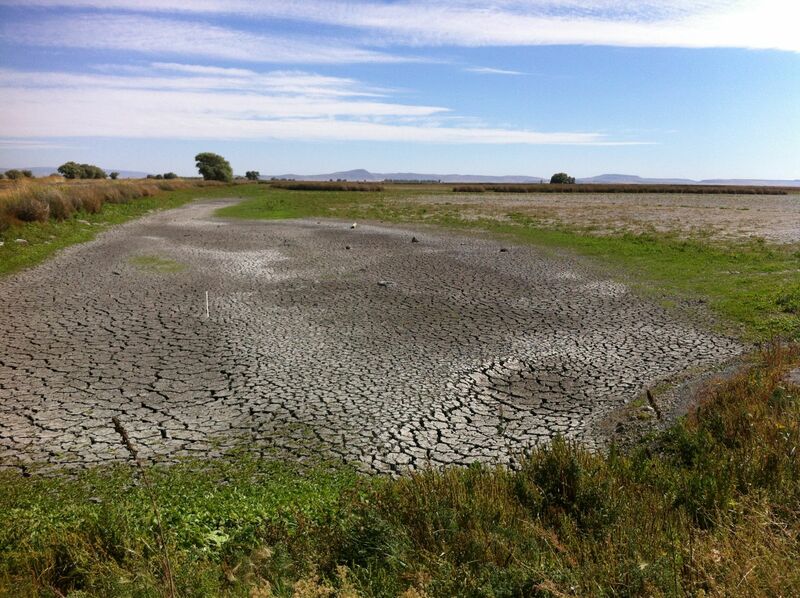 MADRAS, OR -- Jefferson County plans to ask the state for a drought declaration, following similar declarations given to Crook and Deschutes counties. County Commissioner Mike Ahern tells KBND the board heard from those most impacted by dry conditions at their last meeting. "Especially the people proposing this, the ranchers," Ahern says. "Basically, the pasture land they contract with or they have themselves is not producing the feed they need. This declaration will provide them with the opportunity to get some funding and answer some of their questions." Ahern says commissioners are anxious to get the process underway. "We probably were a little bit late to do this because it takes time once it gets to Salem, so we want to get it going. Like I said, it's the ranchers. The irrigated farmers will have a decent year this year, but they're also concerned about another dry drought in the wintertime. It could put them in a bigger pinch, as well." Commissioners will vote today whether to submit a drought declaration request to the state. Governor Kate Brown could act on such a request in the next couple of weeks. REDMOND, OR -- The Boys and Girls Clubs of Redmond/Terrebonne is moving into the next phase of program development, nine months after splitting from Bend. Executive Director Jenny O’Keefe admits things got off to a rough start when finances didn’t allow the clubs to open in September as planned. However, when they opened in October with 118 kids, she tells KBND they committed to the full school year. "What we didn’t anticipate was the tremendous growth we would experience. We had set a goal of 400 youth by the end of 2015 and we’re already creeping up on that goal. We’re several months ahead of schedule and it looks like we’re going to meet our goal of 500 youth likely by the end of 2015." O'Keefe attributes the success to community outreach efforts, and recent grants that allowed the clubs to hire more staff, including a full-time teen director. "A lot of times when people view something as childcare there’s that sense of 'they only need to be there when I need them to be.' But now we have kids coming because they want to. And, it’s not because our programs have changed so dramatically, it’s that the culture has changed, what we’re communicating to the community has changed; helping the community see that we are more." All of that progress was part of Phase One, and O’Keefe says it’s now time to move forward. "We’re good at what we do, but we know we can still do more. Phase Two is about involving the entire community. What do the Redmond youth need? 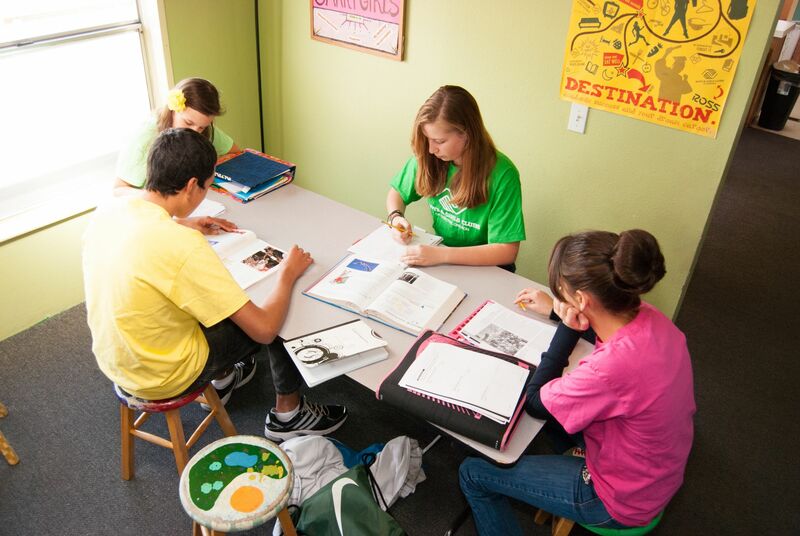 I know there are business owners hiring our teens in the Redmond community, and I want to know from there, what are you experiencing from our high school kids? Are there gaps?" She hopes parents and business owners will provide feedback to help them continue to tailor programs and create new partnerships. The clubs will host an open house Thursday for the public to tour the main facility, ask questions and give input. That event is 4 - 7 p.m. at the Boys and Girls Clubs of Redmond/Terrebonne at 1379 SW 15th St., Redmond. MADRAS, OR -- A Culver woman has been arrested in connection with Monday's stabbing at a Madras motel. 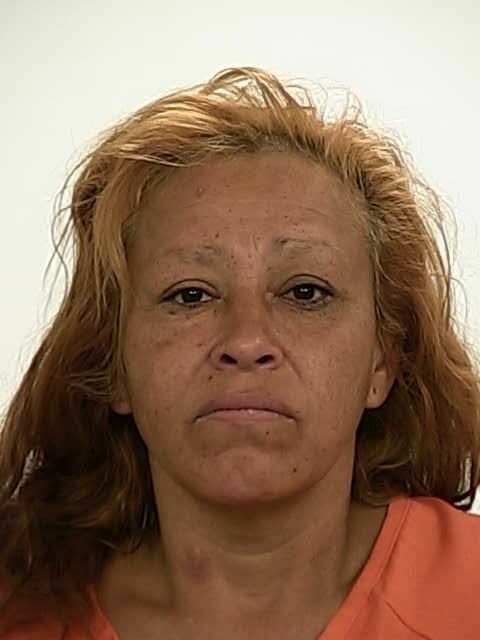 Madras police arrested 47-year-old Laura Patricia Alvarez on unrelated charges, and Jefferson County investigators say she confessed to the stabbing. She is now charged with attempted murder, second degree assault and unlawful use of a weapon. Her bail is set at $315,000. Alvarez is accused of stabbing 48-year-old Frank Wolf, who was found at the Juniper Motel by an employee. He is listed in serious but stable condition at OHSU in Portland. Read more on the stabbing incident. REDMOND, OR -- An excavation crew struck a gas line in a northeast Redmond neighborhood, Tuesday afternoon. According to a Cascade Natural Gas supervisor at the scene, gas to the neighborhood was shut off as a precaution while crews repaired the leak. A subcontractor for Sego Homes struck the line on NE Cheyenne Dr. near NE 5th Street just before 4 p.m. Children dropped off by a school bus in the area were escorted home by a Redmond Police officer. CNG restored gas to the 67 impacted customers by 8 p.m. One home was evacuated until the leak was stopped. This is the second gas line struck by a Sego Homes crew in this neighborhood in less than 12 months. BEND, OR -- A couple accused of dealing drugs throughout Deschutes County now faces a number of criminal charges. The Central Oregon Drug Enforcement Team executed a search warrant on a home on Harvard Place in Bend Thursday morning, following an investigation into the sale of street-level quantities of heroin. Detectives seized heroin, packaging material, scales and other paraphernalia. 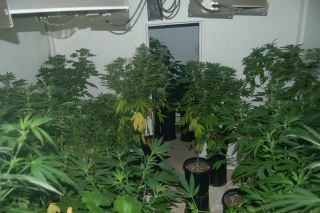 They also discovered a small marijuana grow inside the home. Officers arrested 29-year-old Mark Menke without incident. Brettney Catterlin, also 29, was contacted as she left the house with her 7-year-old son, just prior to the search. She was arrested and the boy was taken into protective custody. 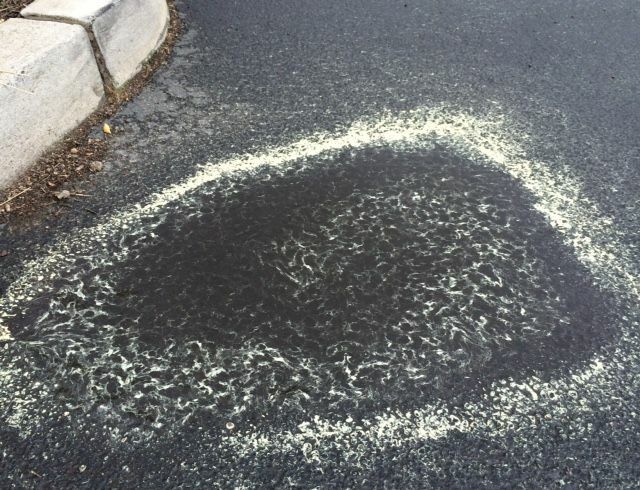 BEND, OR -- Many suffering watery eyes and non-stop sneezing are blaming the clouds of yellow pollen leaving a blanket of fine dust across the region. But, Dr. Adam Williams, allergist and asthma specialist at Bend Memorial Clinic, says it's likely not the pine pollen causing all your problems. "What we see is the yellow pine pollen, but what we feel when we're sneezing and having really bad allergy symptoms is actually grass pollen." Dr. Williams tells KBND, "The grass pollen is not as easily visible, so when we see the yellow we associate it with our seasonal allergies. But, the yellow pollen is actually the pine and not very many people are actually allergic to pine pollen. Most people who are having nasal allergies when we see the pollen on the ground and blowing off the trees like we're seeing now, is actually the grass pollen." Grass pollen season lasts about eight weeks in Central Oregon, and should end in mid-July. But, Dr. Williams says this is likely not the last time we'll suffer through an early and intense allergy season. "So, if this is a function of the same global climate change that they've been predicting, then this would be the effect that they would've predicted with a warmer winter. Pollen came earlier and also the trees probably produced more pollen that was then released." He says the clouds of yellow pine pollen don't pose much of a health risk beyond what normal dusty conditions might create. MADRAS, OR -- St. Charles Health System is moving ahead with plans to upgrade much of the Madras hospital, beginning this summer. Christa Papke with St. Charles Madras tells KBND the final design work is nearly done. "This is a $16 million addition that will include a new main entrance; a new combined operating room and emergency department, a new imaging department and laboratory. Our current laboratory is actually located in mobile units outside of the actual hospital building." She says about 10,000 square feet of existing infrastructure will also undergo upgrades. Papke says the project fulfills a promise made to the Madras community in 2013. "There had been ongoing historical discussions about upgrading this facility, because it was built in 1967 and doesn’t truly meet all of the current standards of care. 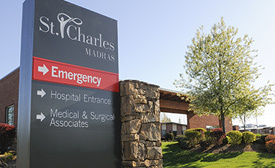 This project will be partially financed by bonds, and it fills the St. Charles commitment to the Madras community to upgrade the hospital as part of the asset transfer agreement between St. Charles Health System and Mountain View Hospital District." There should only be minimal impact on patients during the work. "The nice part about doing this addition is that we won’t be disrupting the services we’re currently providing. They may see some construction areas and that sort of thing, but our goal is to continue to provide the high level of healthcare that we’re currently providing to our community," Papke says. Construction is slated to begin in July. 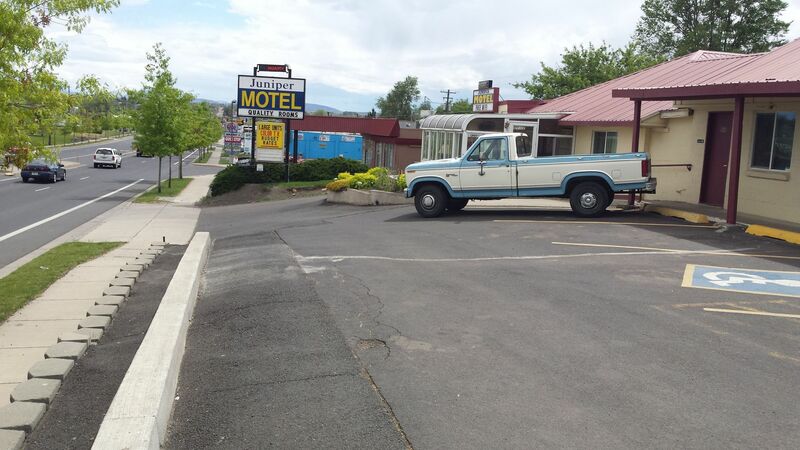 MADRAS, OR -- The Jefferson County Sheriff's Office is investigating a stabbing at the Juniper Motel Monday morning. The victim, 48-year-old Frank Wolf of Madras was found with life-threatening stab wounds. "We're investigating a stabbing of a person who was residing at the motel," Jefferson County Sheriff Jim Adkins tells KBND News. "We got a 9-1-1 call from the motel that said there was a victim in the room. The ambulance and my deputies went up there and found him in the room." Wolf was taken to St. Charles Madras by ambulance, then was flown to Oregon Health and Sciences University in Portland where he is in serious, but stable condition. Madras and Warm Springs Police and Oregon State Police are assisting with the investigation. BEND, OR -- A group of Central Oregon doctors have created a high risk breast clinic designed to help women at increased risk of breast cancer. The clinic started this week and involves St Charles Cancer Center, Central Oregon Radiology Associates, Cascade Medical Imaging and Bend Memorial Clinic. Dr. Cloe Shelter, Director of Women's Imaging at CORA explains how it works. "The first step is identifying women who are at higher than average risk of breast cancer and then creating a personalized plan that includes both risk reduction and elevated screening. So that if they were to develop breast cancer, we can catch it earlier." She tells KBND the goal is better outcomes. "Identifying the women who are at the highest risk in my mind is really important. And I think there are probably more women than we previously would have suspected who fall into this category, and who would really benefit from the help and guidance through making these decisions about how to address this risk." Women who have a twenty percent or higher lifetime risk of developing breast cancer will qualify for further evaluation at the high risk breast clinic. Women fill out questionnaires to help determine their risk level. 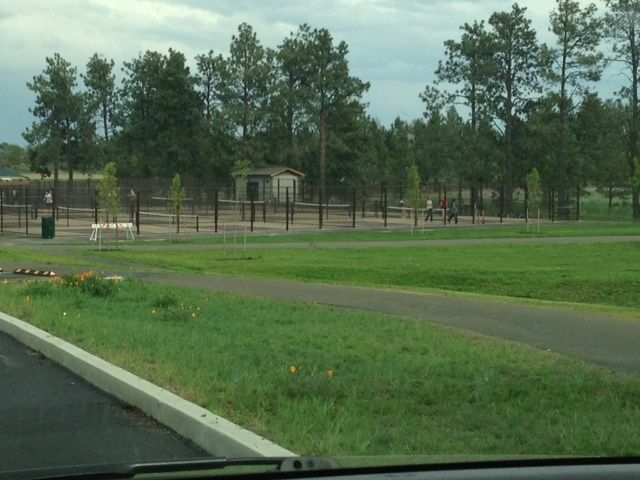 BEND, OR -- Bend's newest community park is open Tuesday. Discovery Park is in Northwest Crossing, just north of Summit High School. The 31-acre park includes a three-acre lake, 12 acres of developed park and 16 acres of natural open space. It has walking trails, a nature play area, a picnic shelter and an off leash dog park. A park opening celebration is scheduled for July 16. 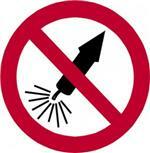 PRINEVILLE, OR -- The Bureau of Land Management is banning the use of fireworks and other exploding targets on its public lands throughout Oregon and Washington State. The ban lasts through October 15. This year's low snow pack combined with warmer than normal weather, increases our chances for wildfire, so the BLM is taking this step. Those who ignite fireworks on BLM managed lands face up to one thousand dollars in fines and up to one year in prison or both. BEND, OR -- The Central Oregon Drug Enforcement Team (CODE) is warning outdoor enthusiasts of the risks involved with stumbling upon illegal marijuana grows on public lands this summer. Ken Mannix with CODE tells KBND that drug traffickers have zeroed in on Central Oregon because of the climate, and the danger has increased as weather warms. "Drug trafficking organizations have targeted not only Central Oregon, but also Oregon for a number of years. It's fairly common for them to come in and set up plantations for grows both on public and private land throughout Central Oregon." Mannix says if you come across a marijuana operation, be careful. "The majority of the outdoor marijuana grows that we've investigated over the past five to six years, there's always been some sort of evidence of firearms in those camps. It's fairly common," he says. "So, obviously, the concern there is with the public out recreating and being put in that position. That's why we don't want them to act on anything, but back out and call law enforcement." 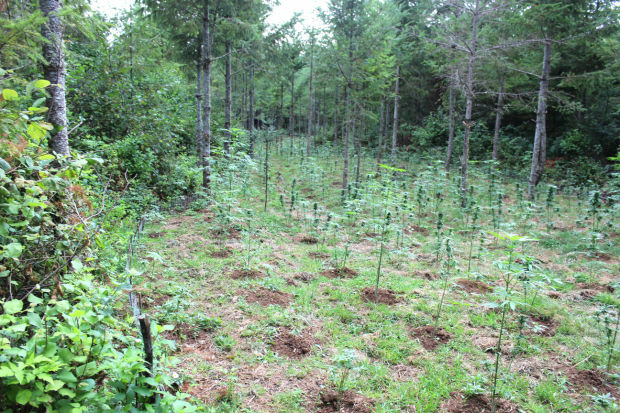 CODE investigators have seen several marijuana-related activities on public lands in recent years, although they are often scattered in remote areas. Mannix doesn't expect that number to decrease when pot becomes legal in July. "You're looking at two different animals here. We're talking specifically about drug trafficking organizations that are in this. It's a business. It's highly lucrative. There's a lot of money being made by organizations doing what they're doing. And, when we're talking about outside grows we could be talking about 5,000, 10,000, 15,000 plant grows. We've seen grows in Oregon that are upwards of 80,000 to 90,000 plants." That high number of plants will still be illegal in Oregon after July 1. BEND, OR -- A Bend man was handcuffed and taken to St. Charles Sunday morning, after he allegedly wandered naked into Shevlin Park and threatened a woman. Just before 9:00 a.m., the woman called 911, saying she approached the man to ask if he was OK. She says he then started cursing and threatening to kill her. When deputies responded, they say 20-year-old Stephen Werner became aggressive and charged one of them. Werner is now being assessed, to determine whether his behavior was due to a medical condition or substance abuse. Once he's released from the hospital, he could face several charges. SALEM, OR -- About 180 Oregon soldiers, including a platoon-sized detachment from Prineville, were welcomed home from deployment at a Salem ceremony this weekend. Oregon Governor Kate Brown, U.S. Senator Ron Wyden and other officials, along with families, attended a demobilization ceremony for the 234th engineer company, Saturday afternoon. The company mobilized on June 8 of last year to Fort Bliss, Texas, and spent about nine months conducting several construction missions at military facilities throughout Kuwait. The company also supported housing needs in Kuwait toward the end of their deployment.